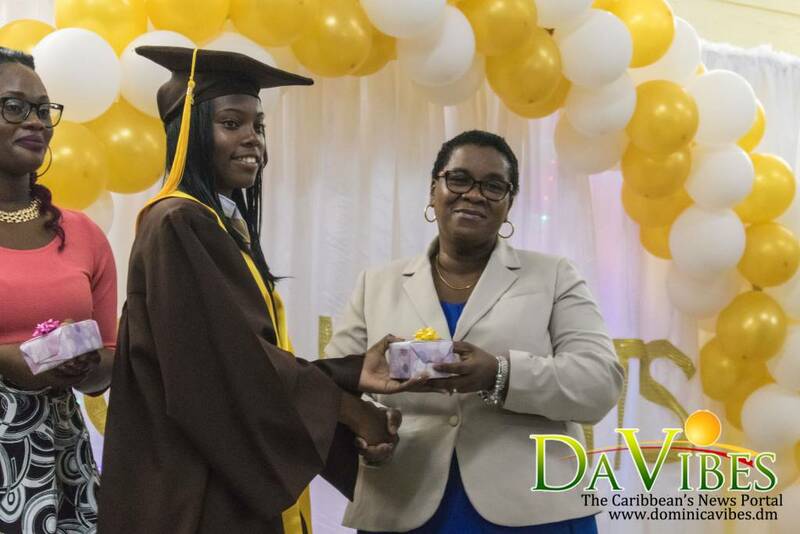 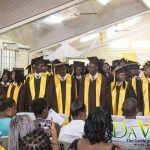 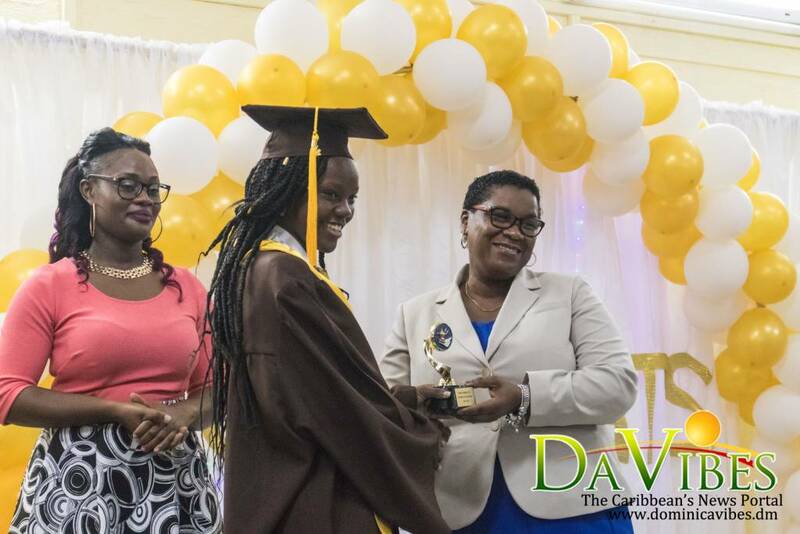 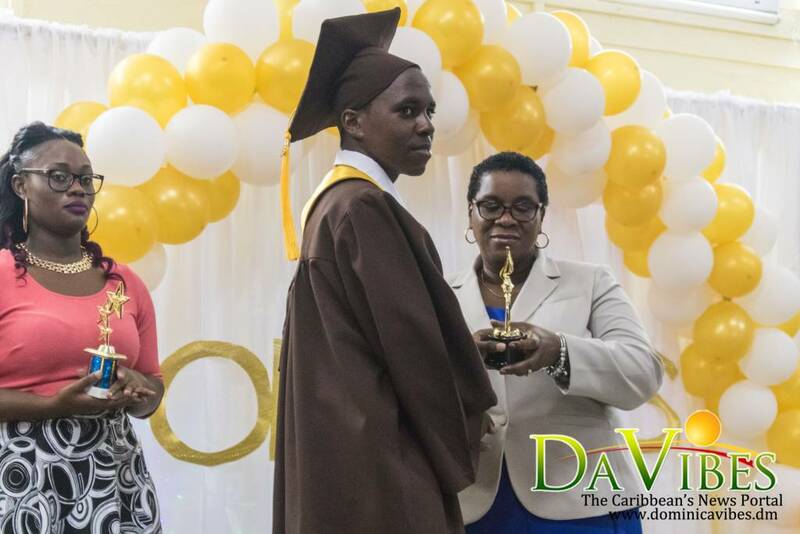 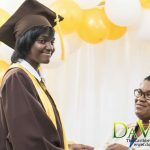 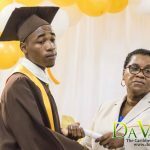 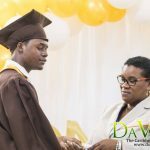 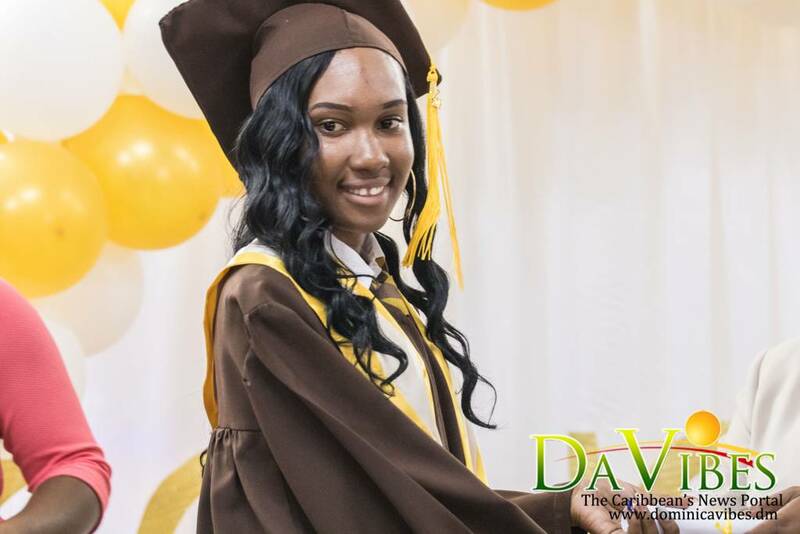 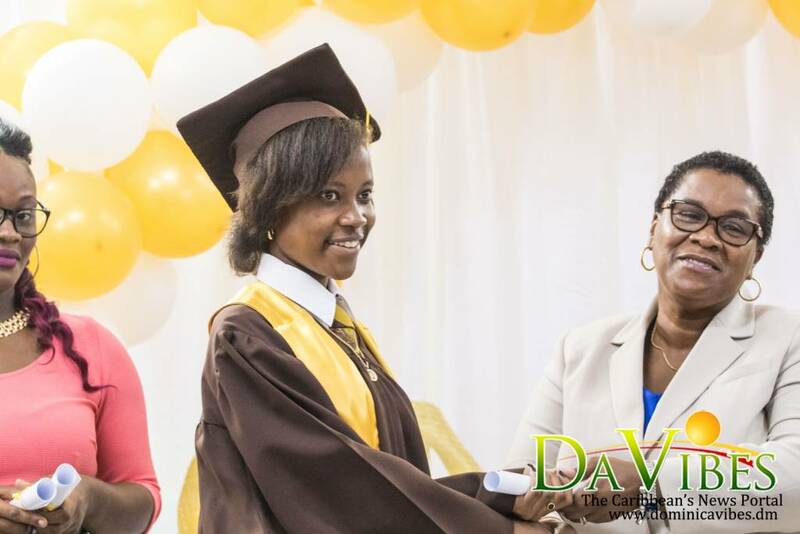 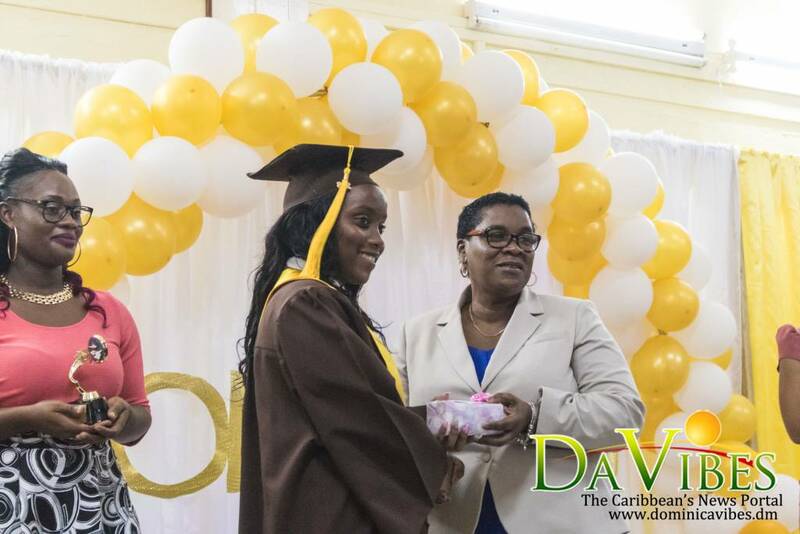 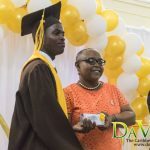 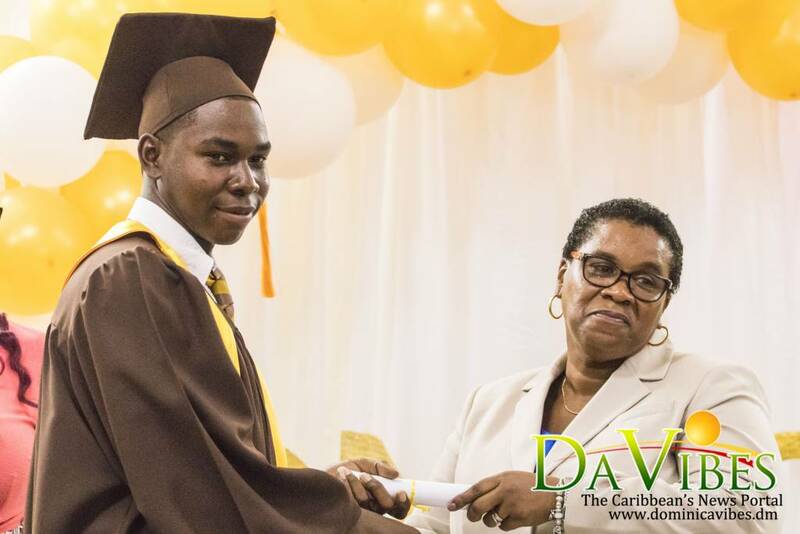 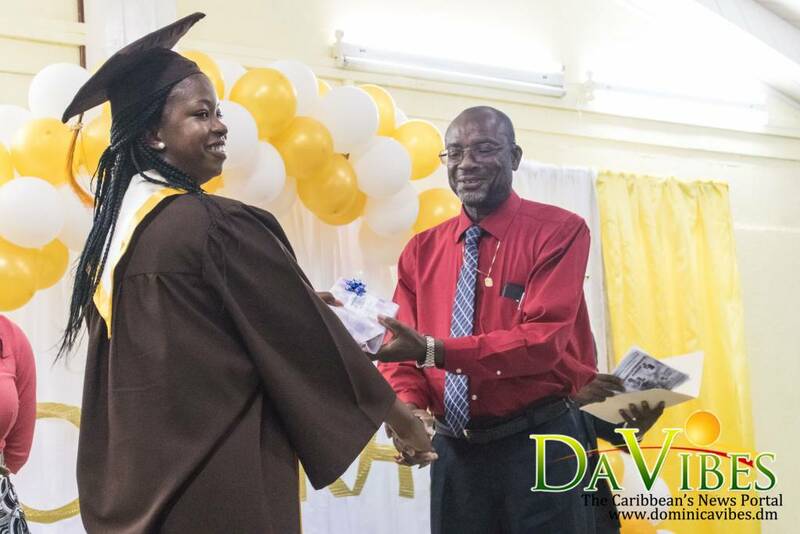 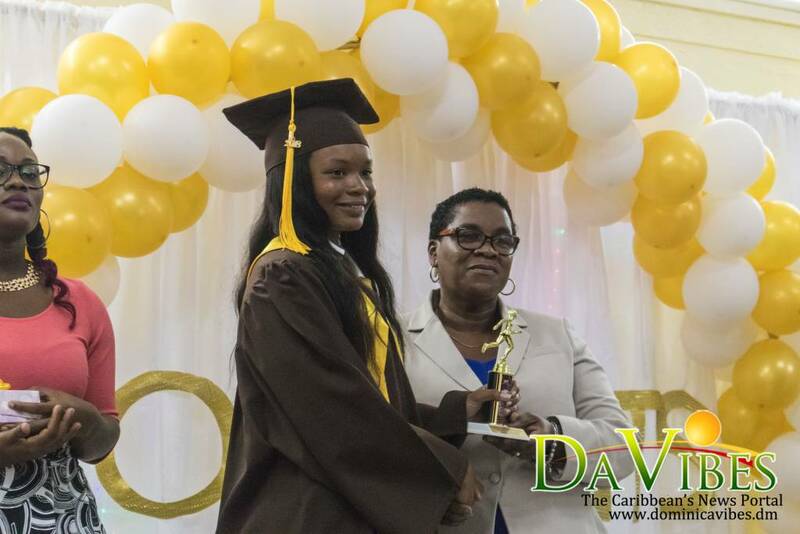 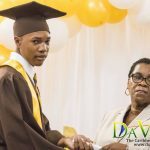 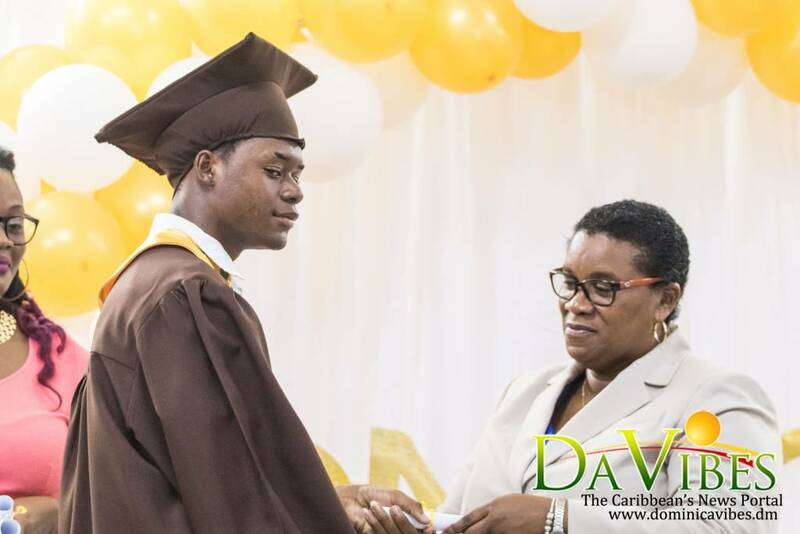 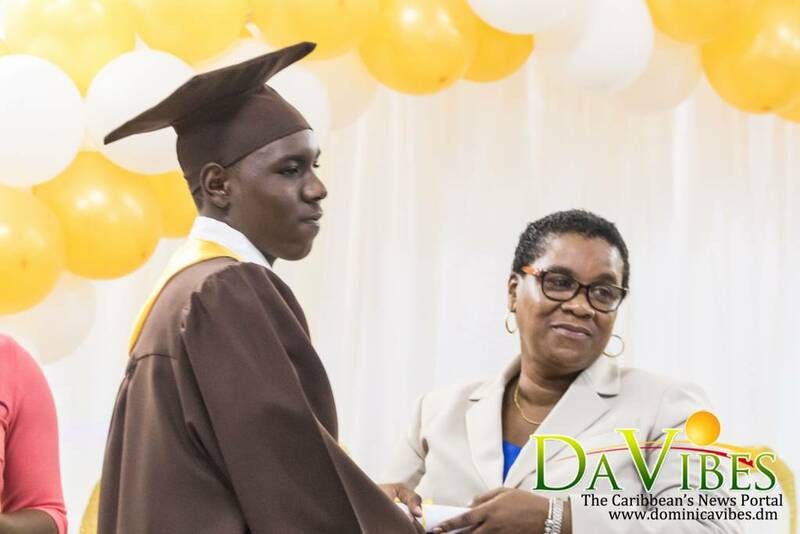 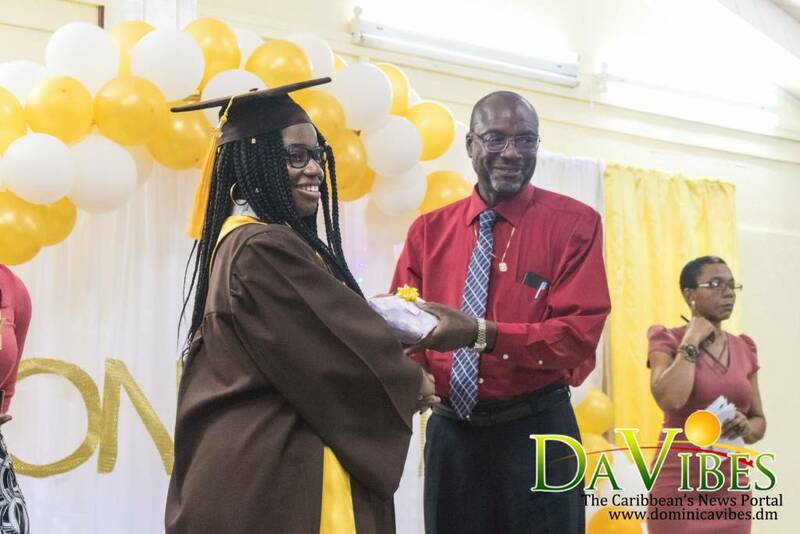 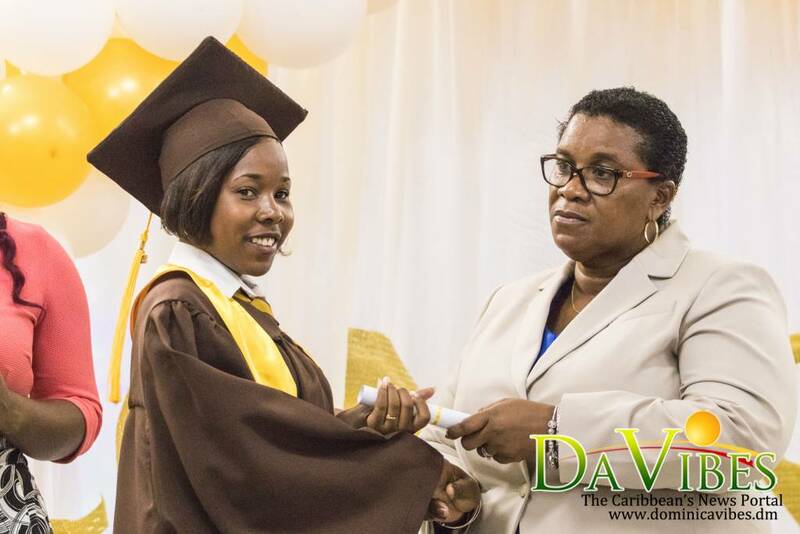 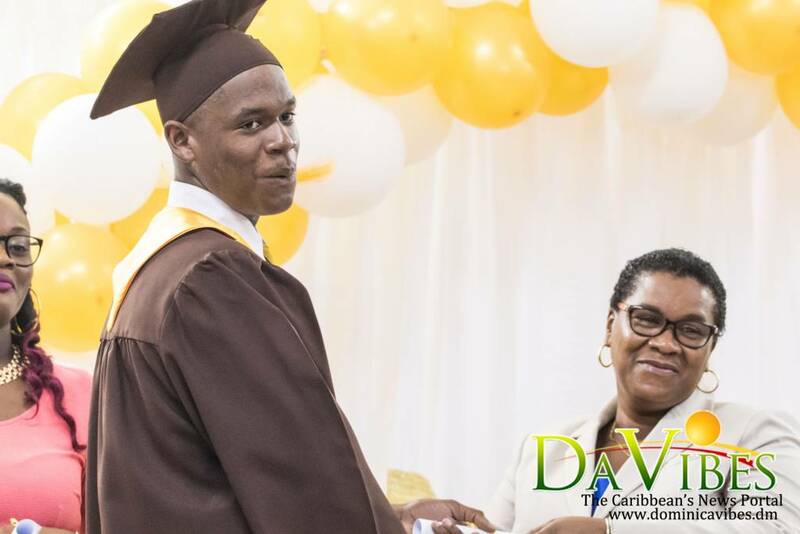 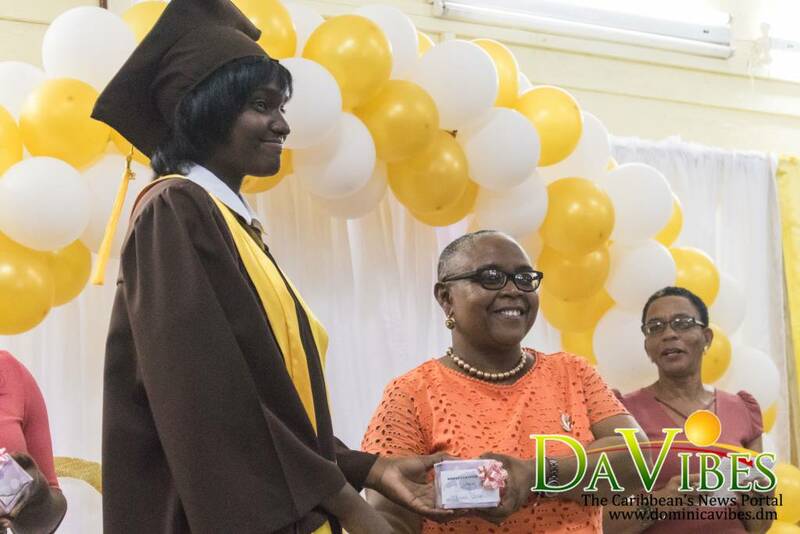 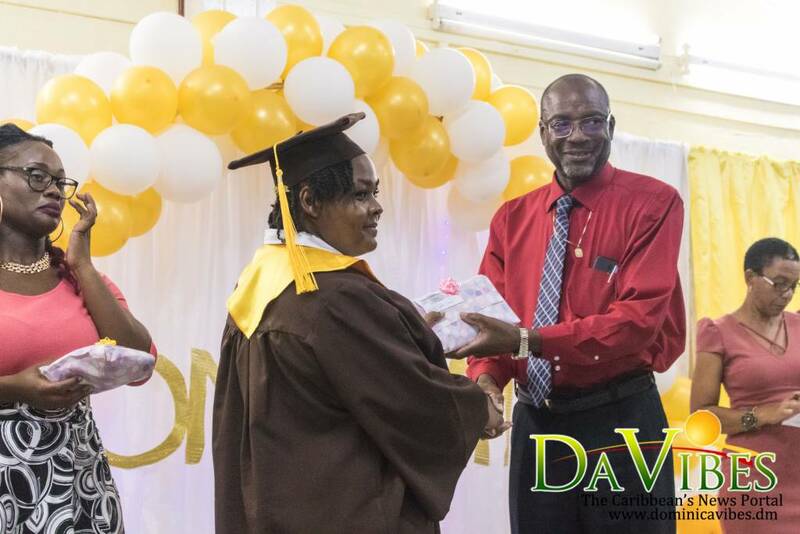 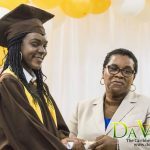 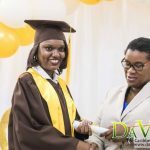 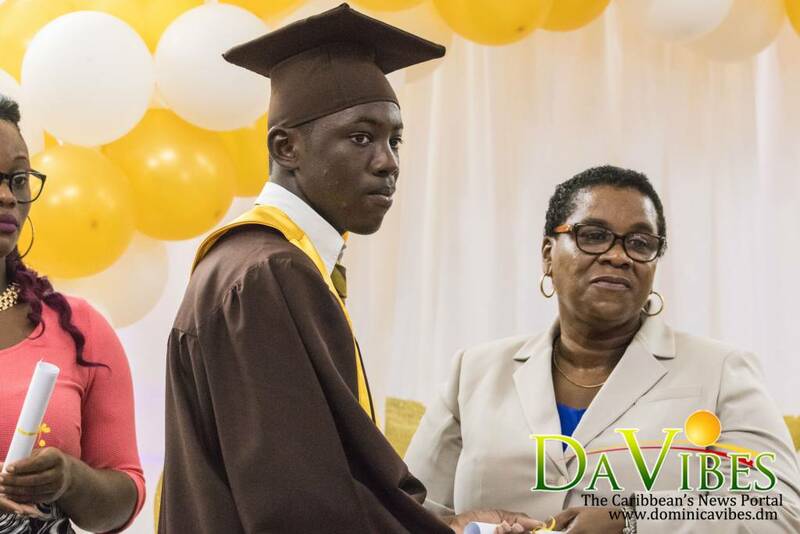 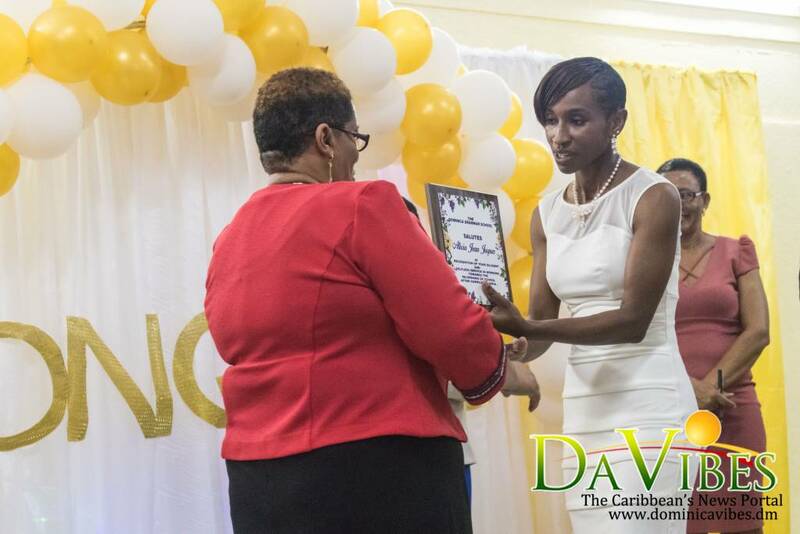 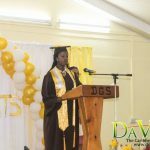 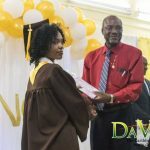 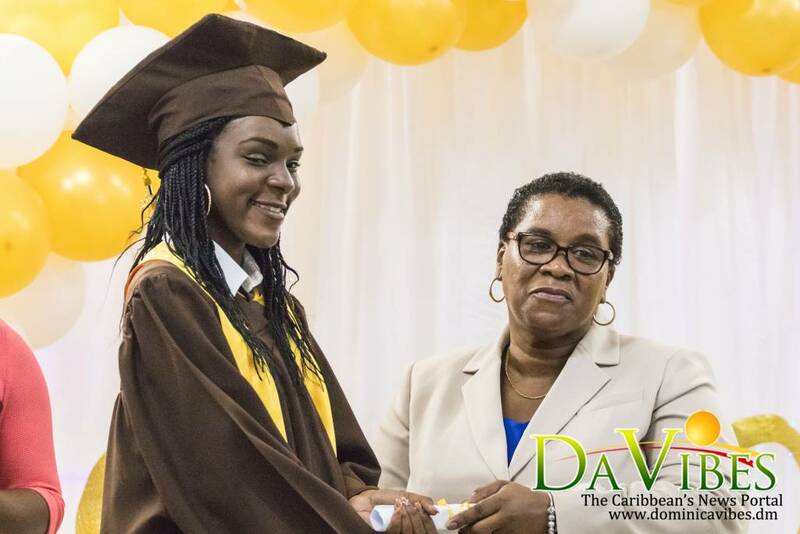 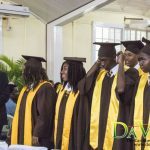 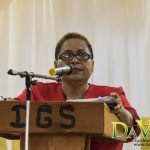 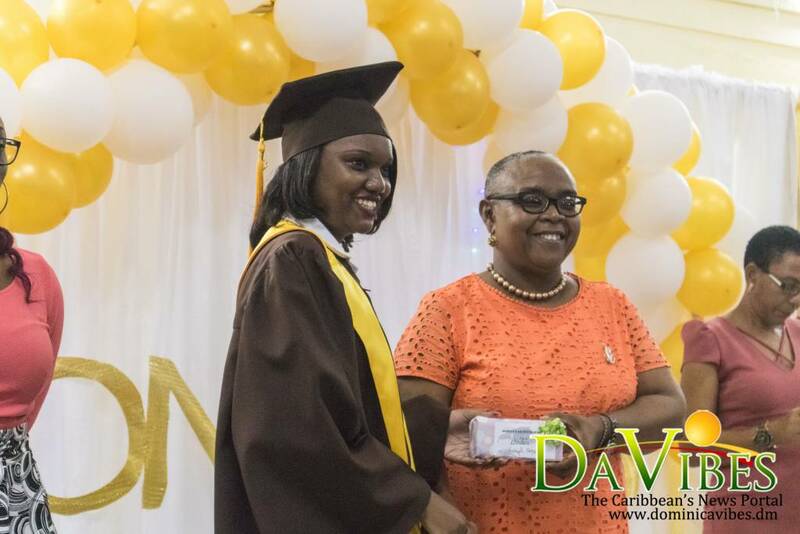 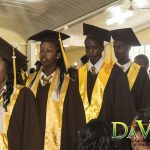 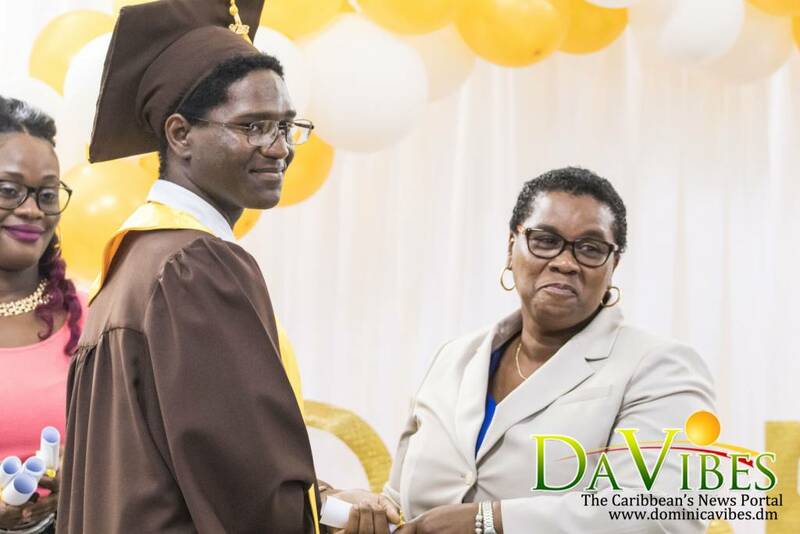 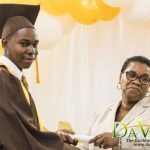 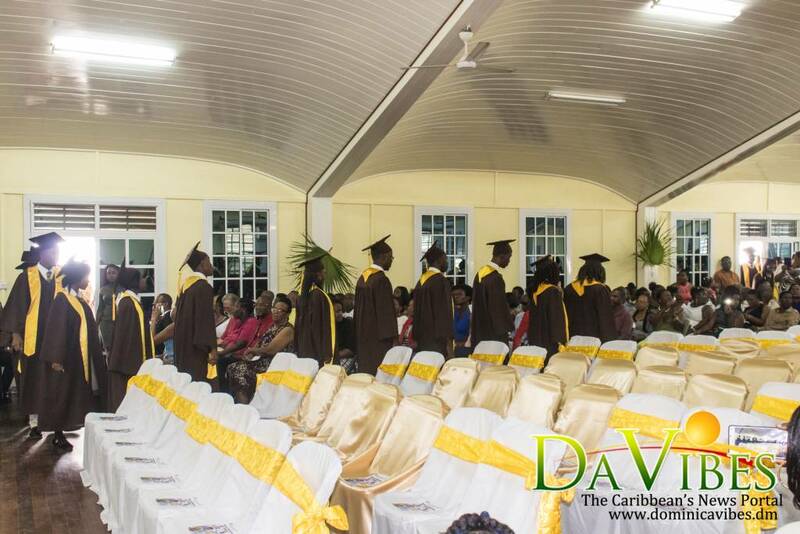 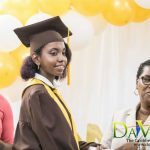 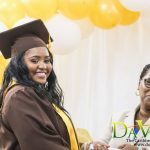 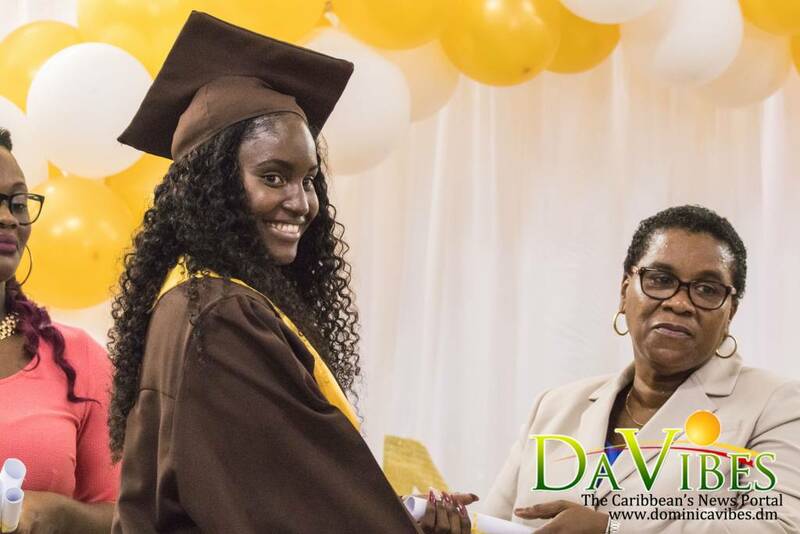 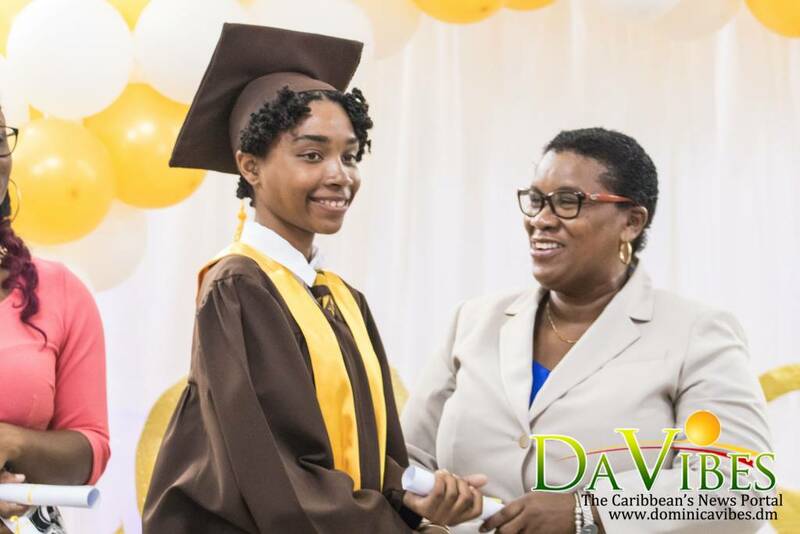 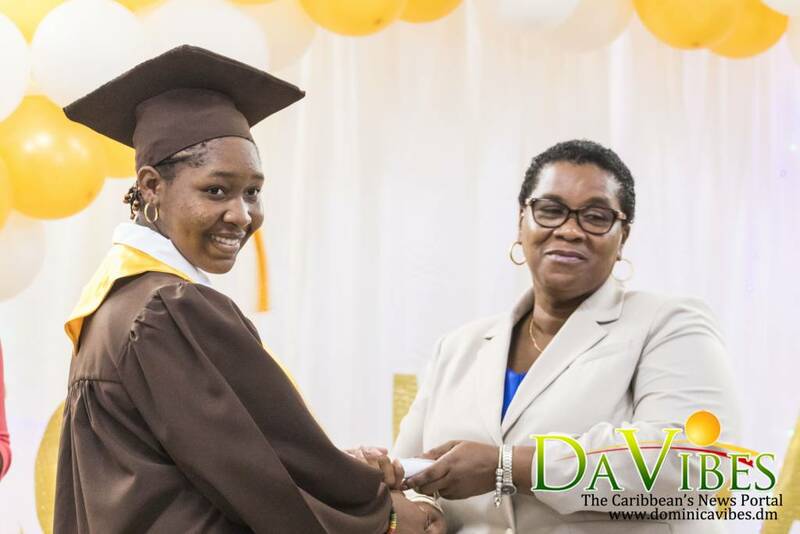 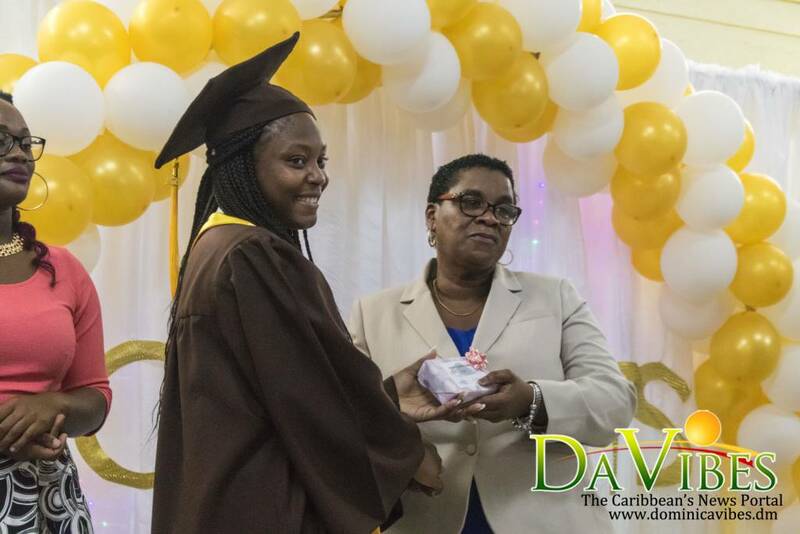 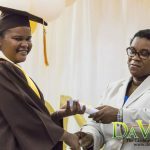 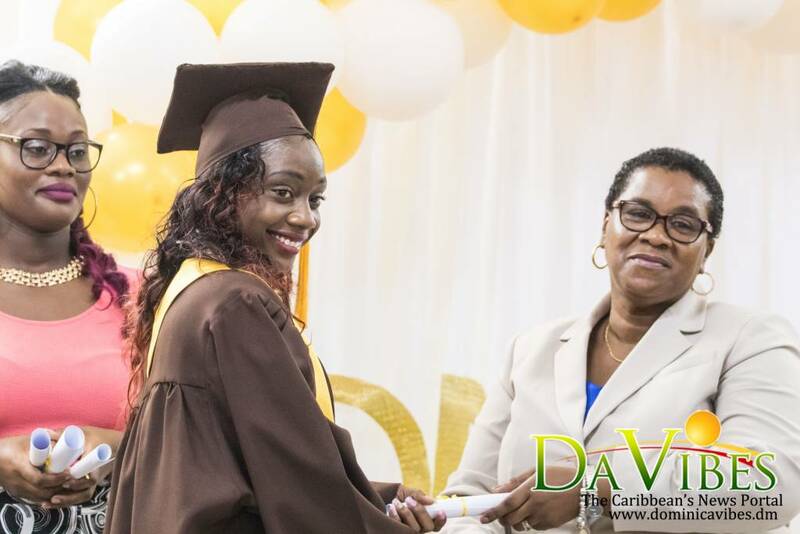 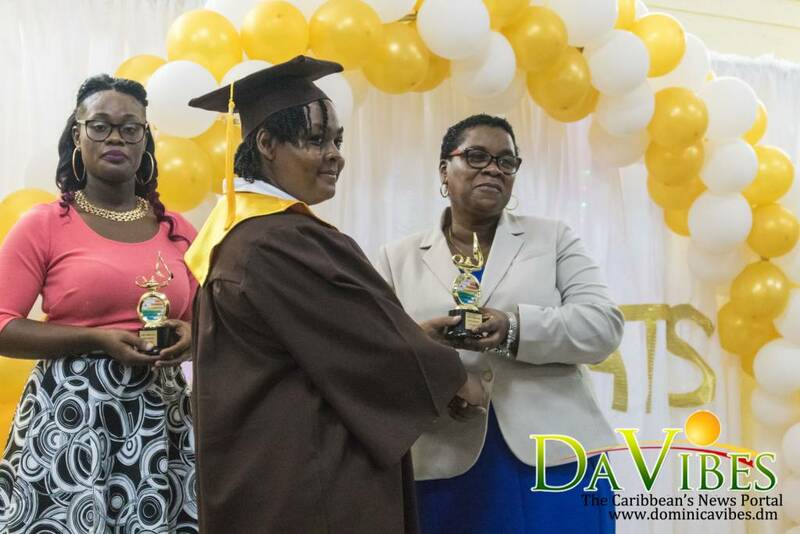 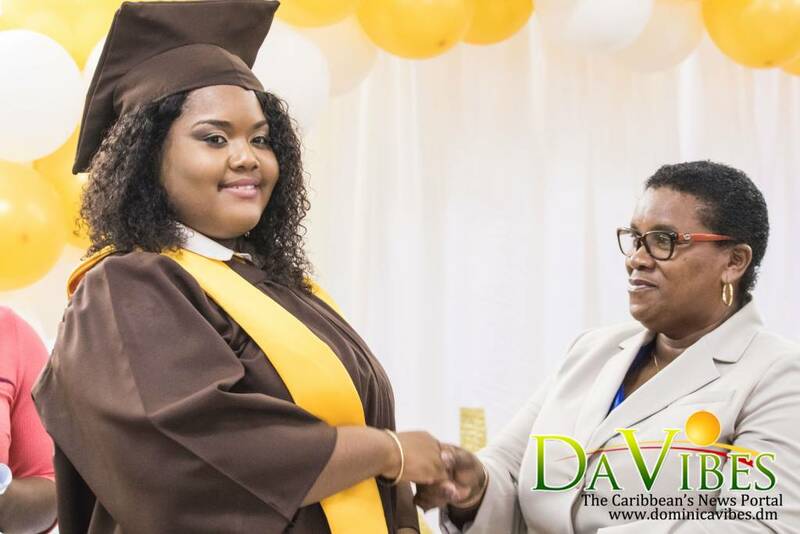 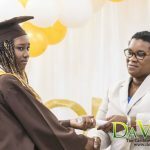 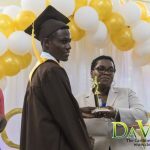 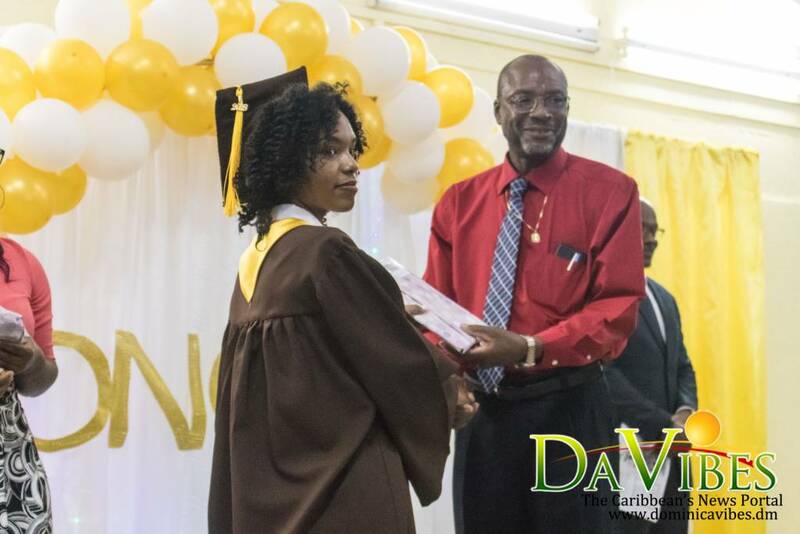 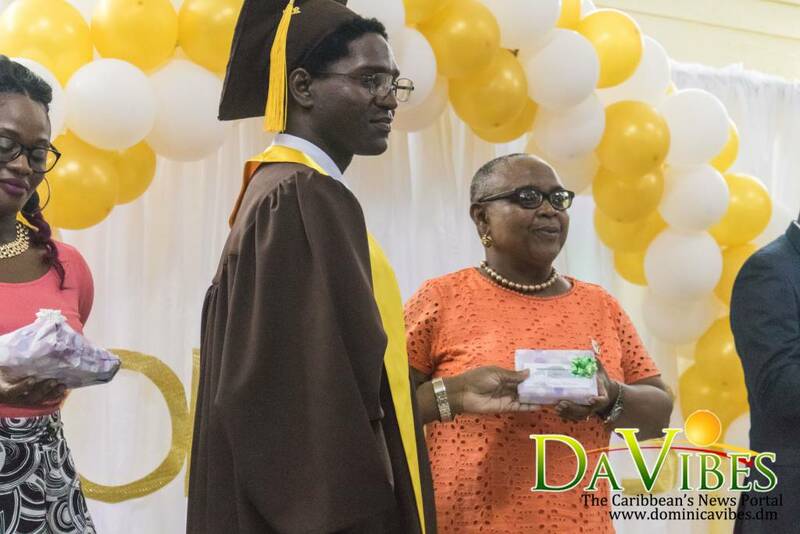 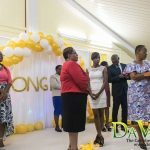 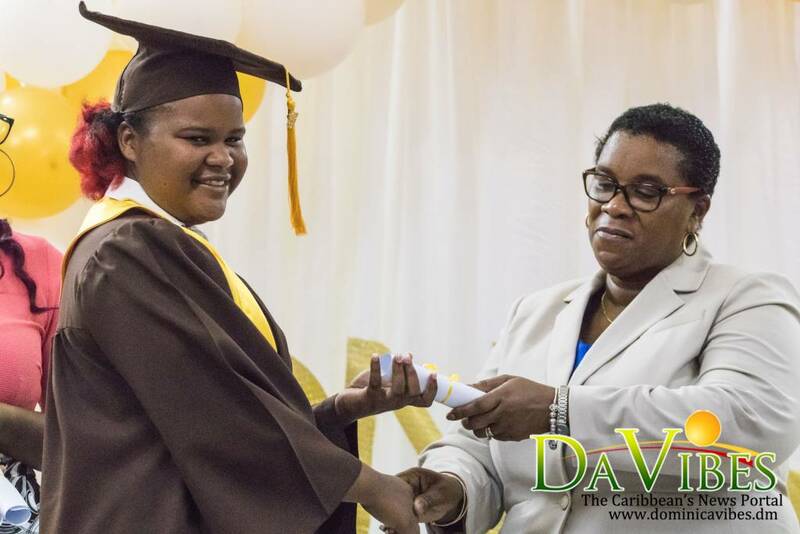 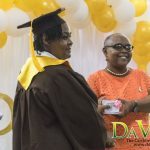 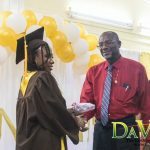 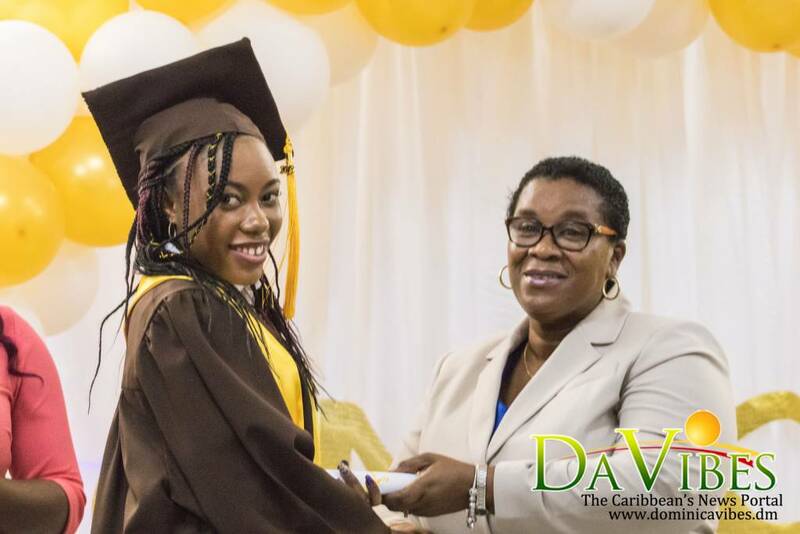 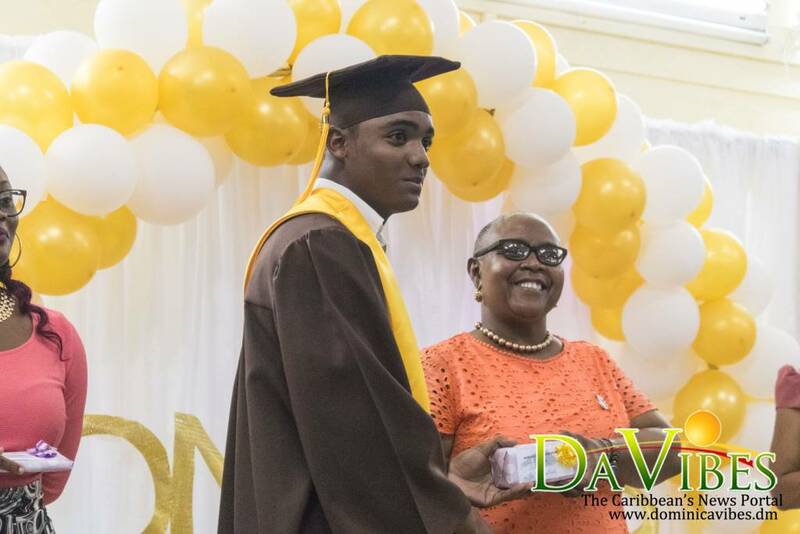 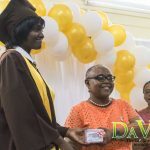 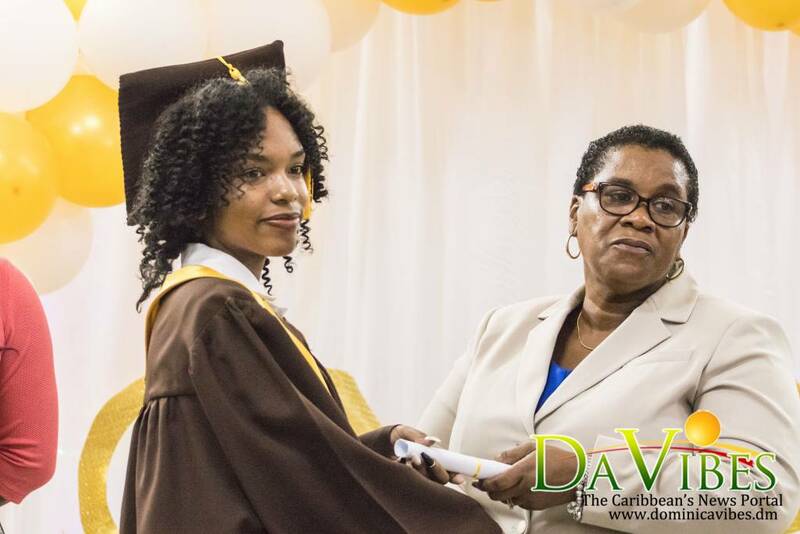 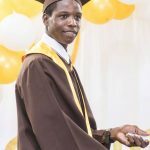 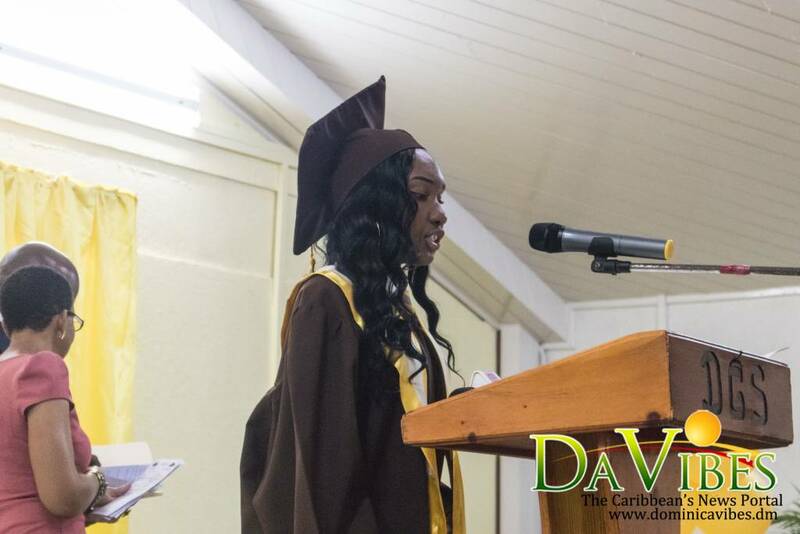 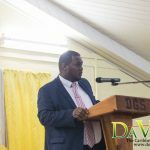 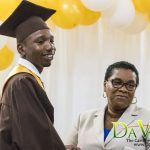 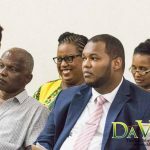 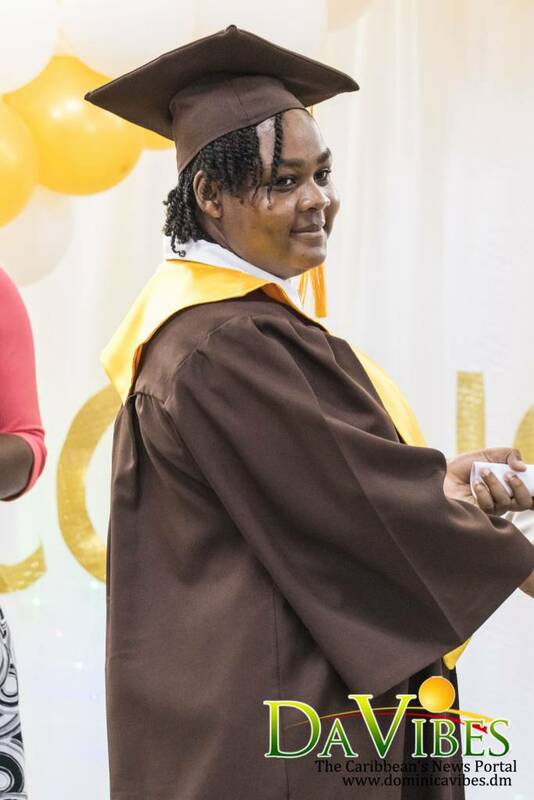 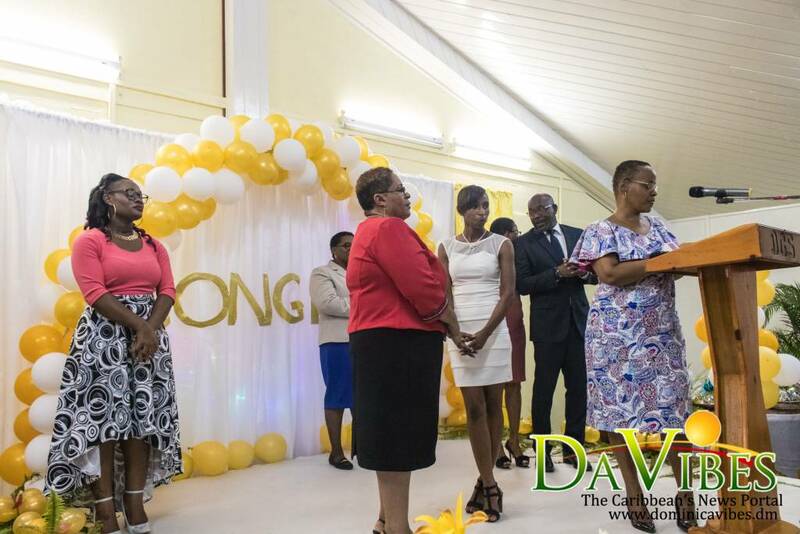 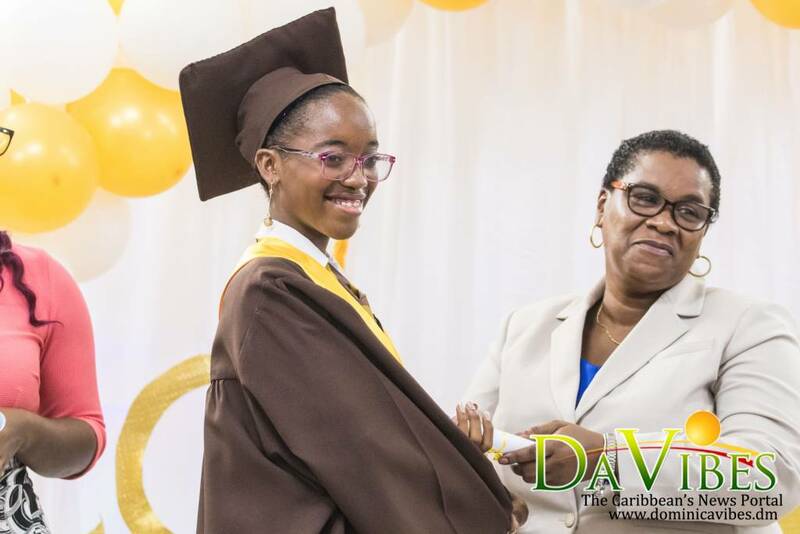 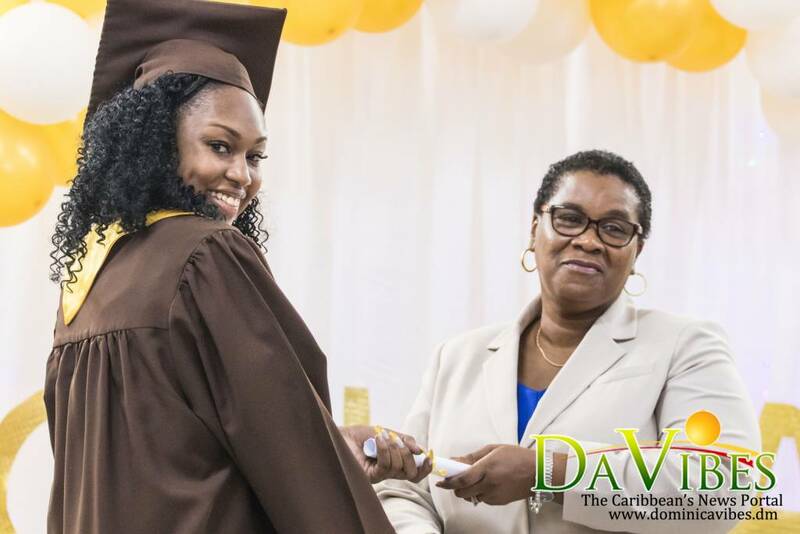 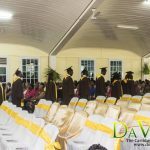 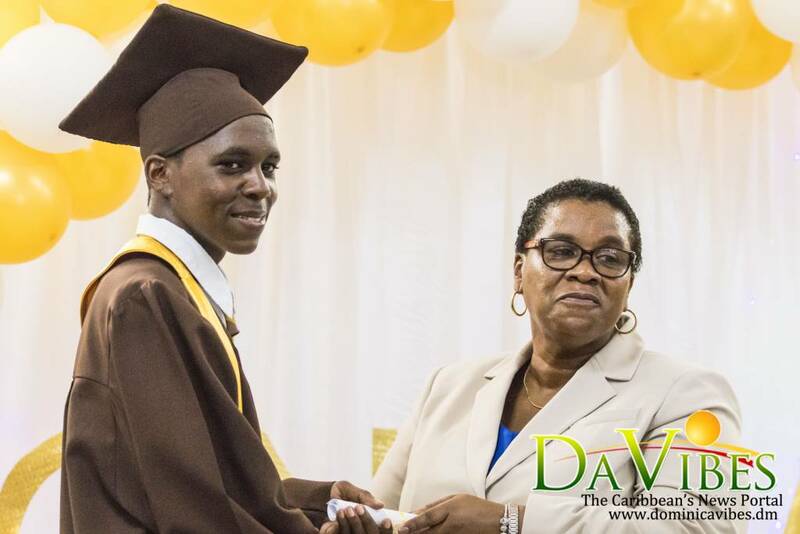 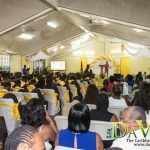 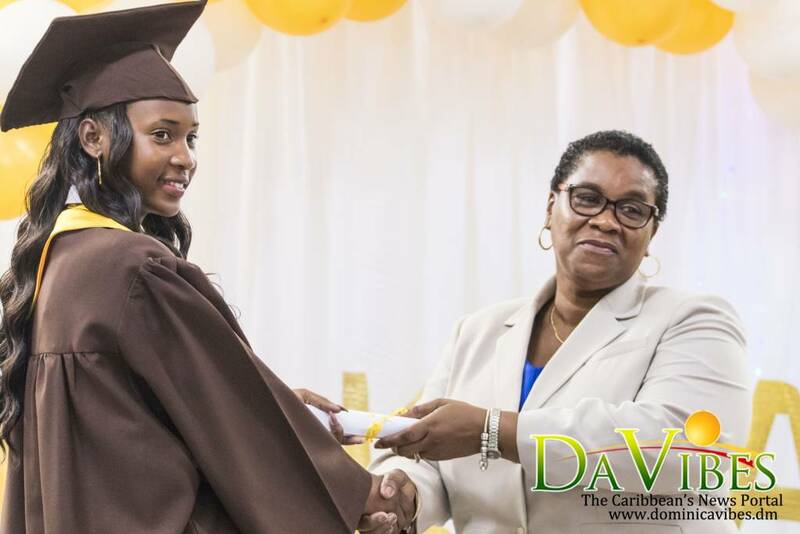 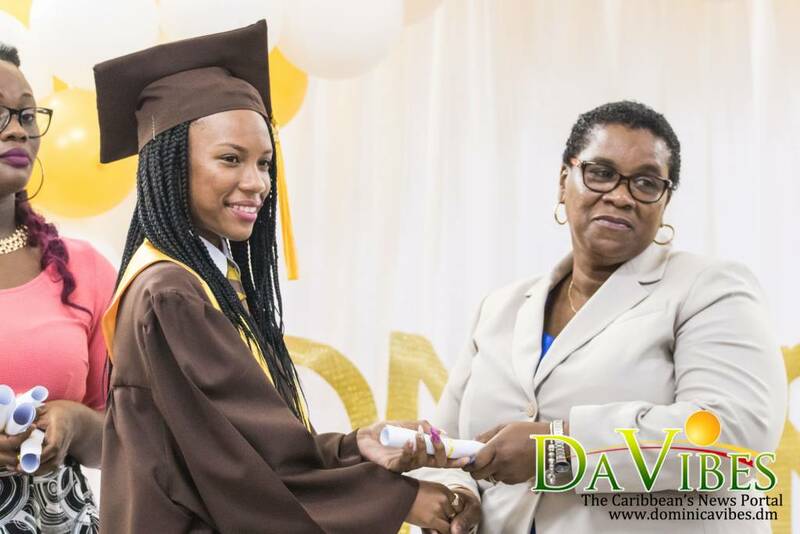 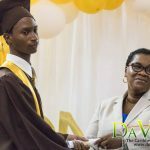 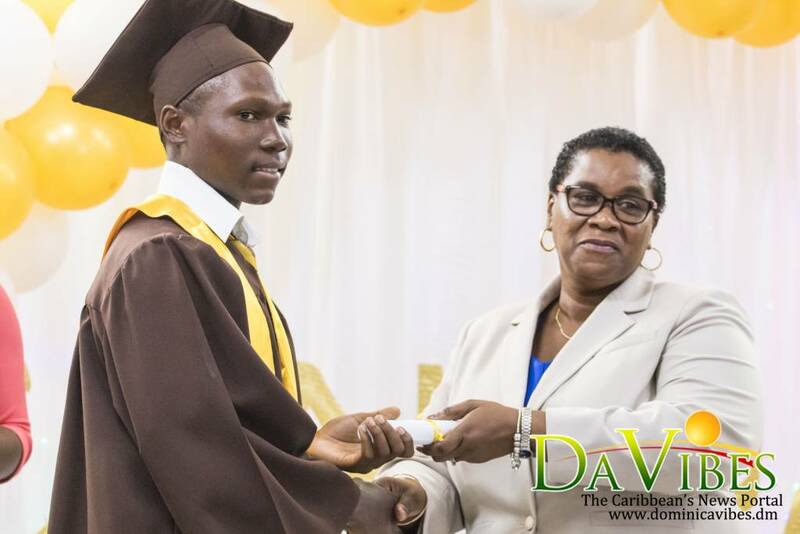 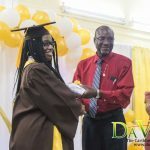 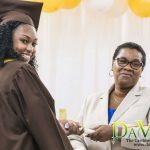 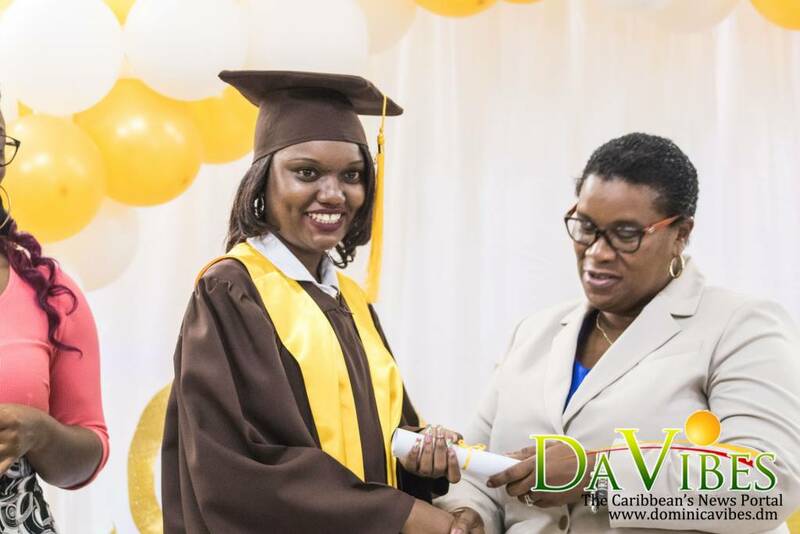 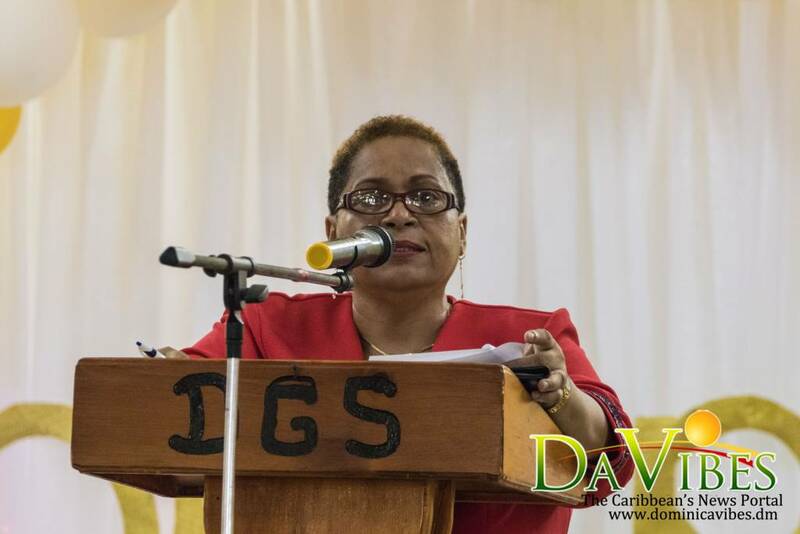 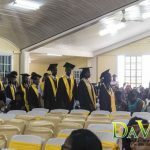 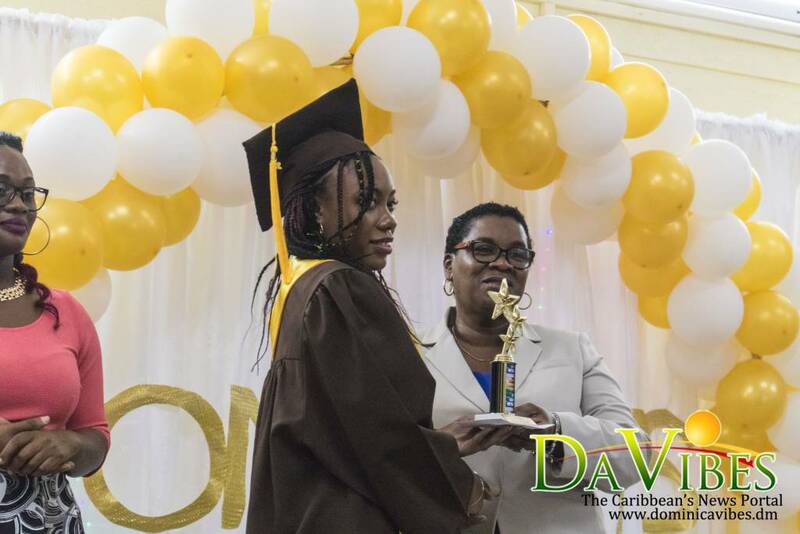 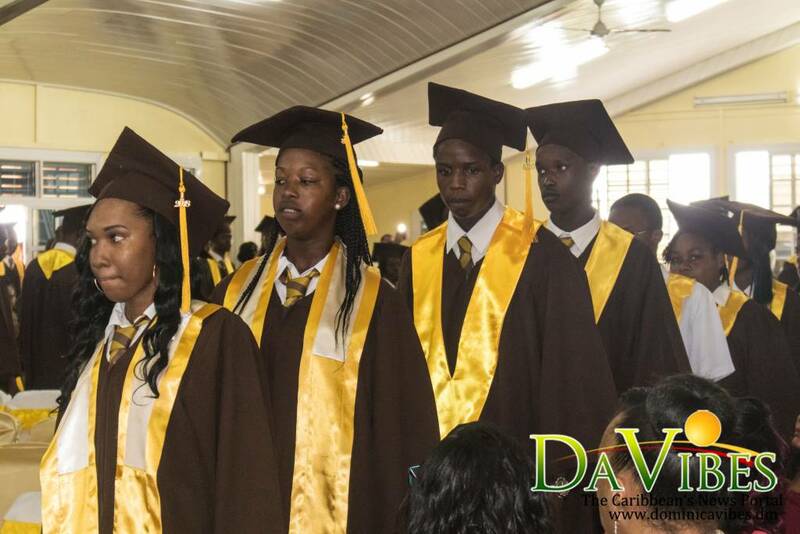 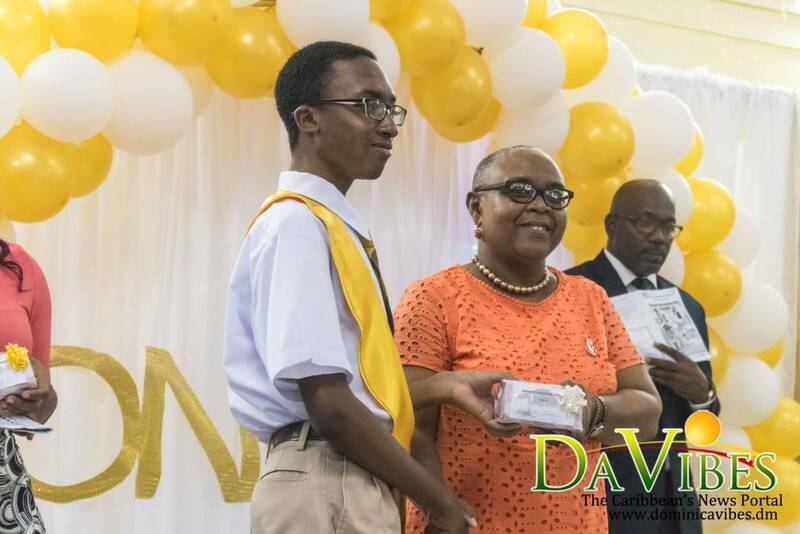 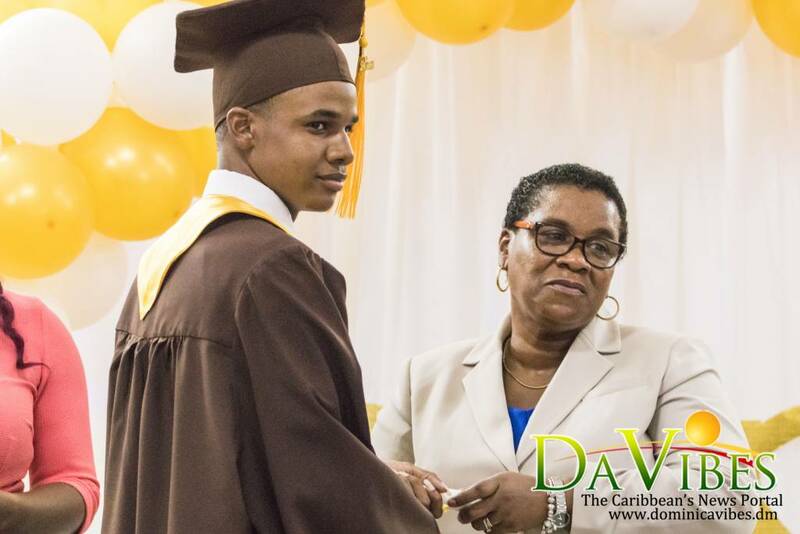 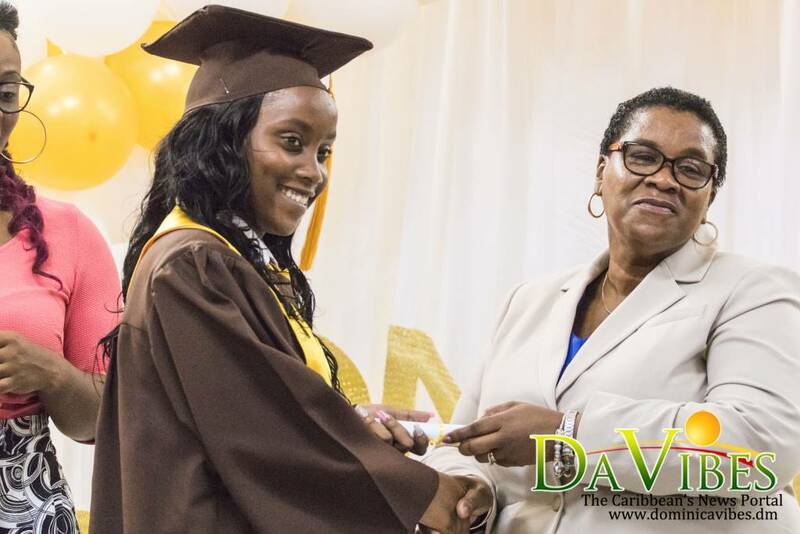 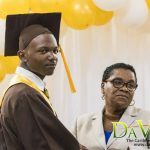 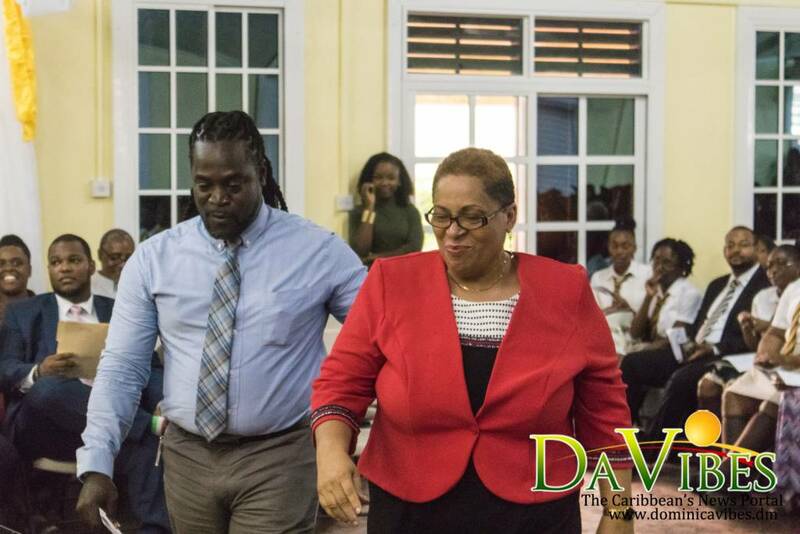 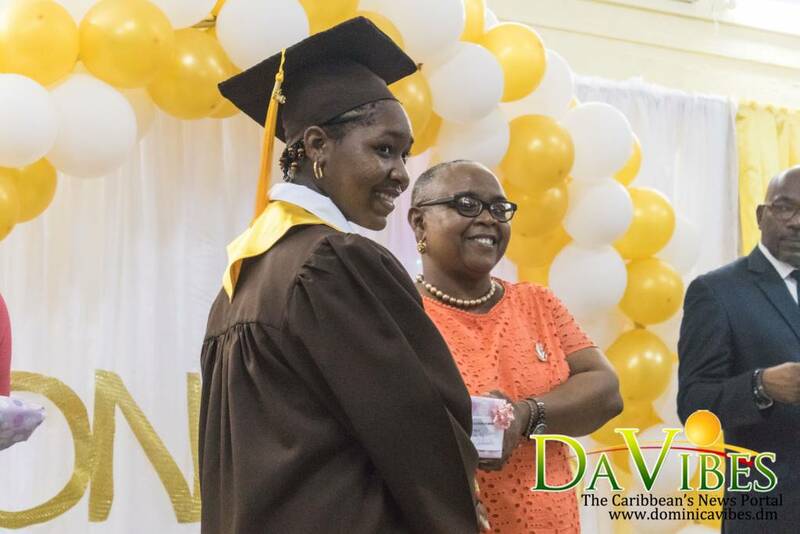 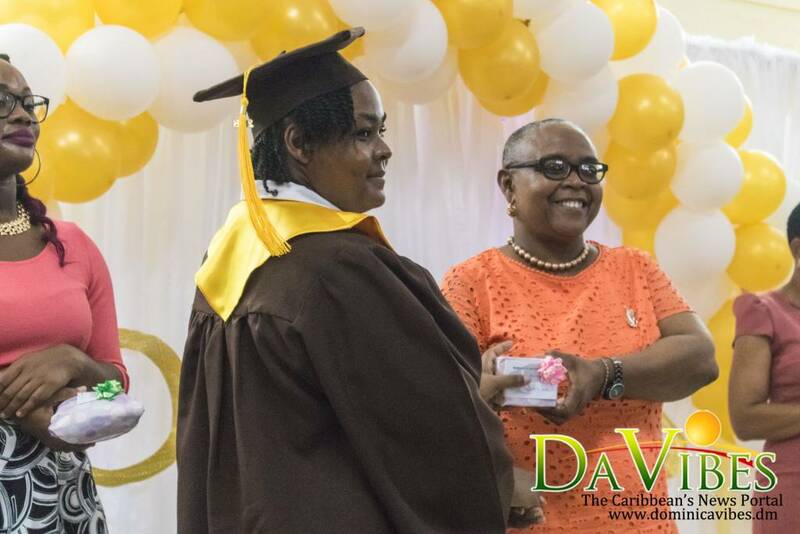 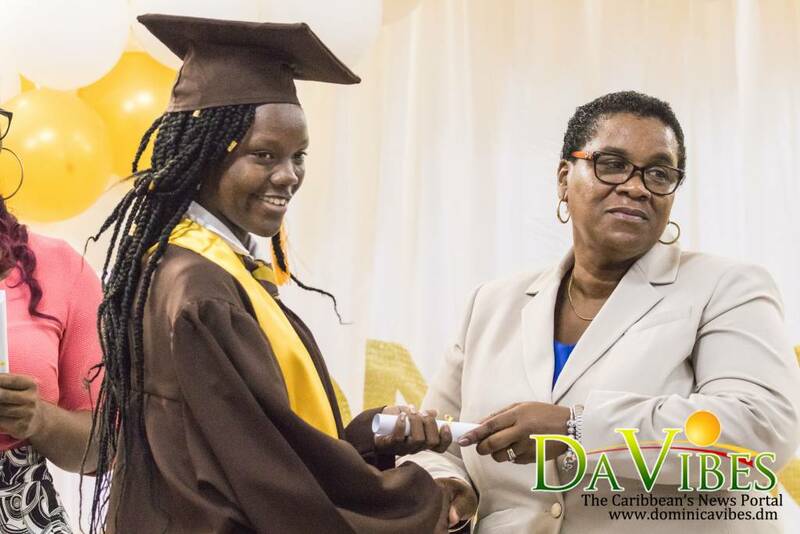 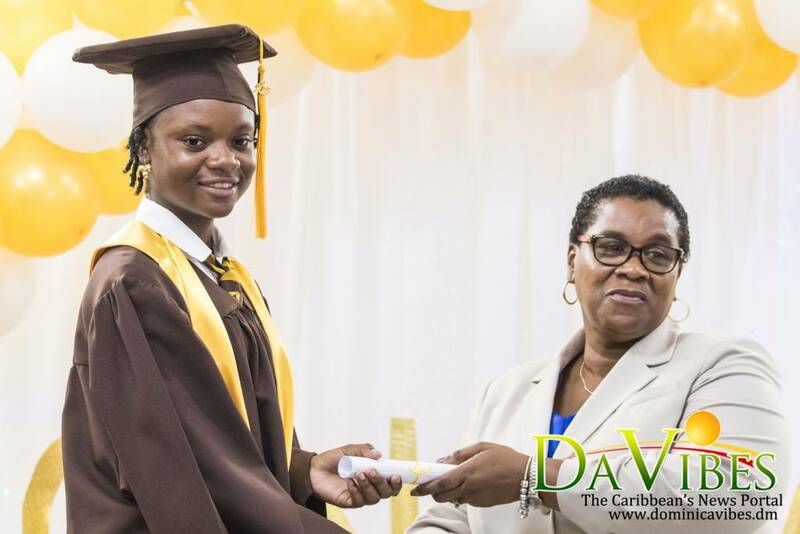 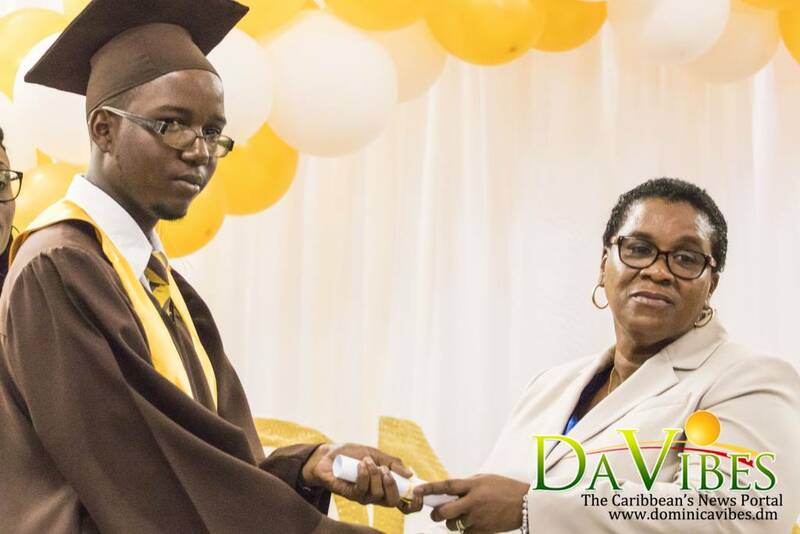 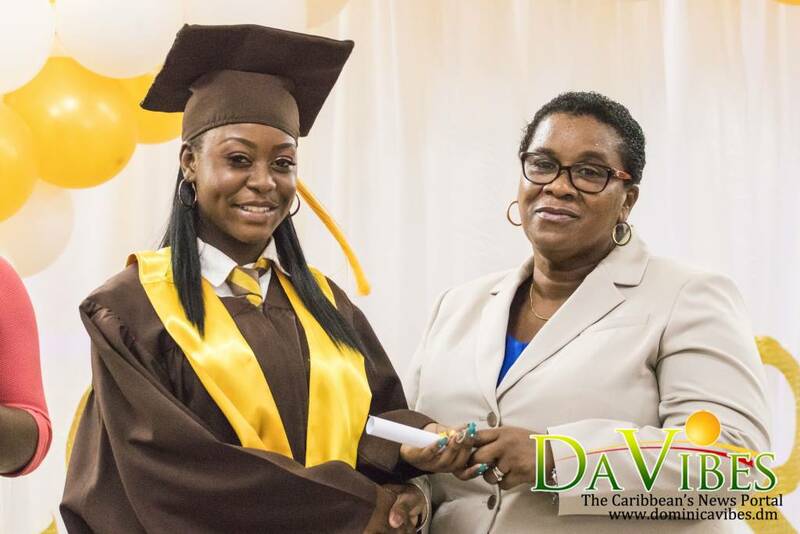 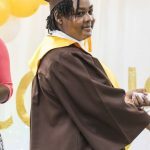 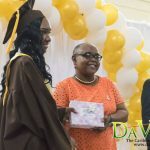 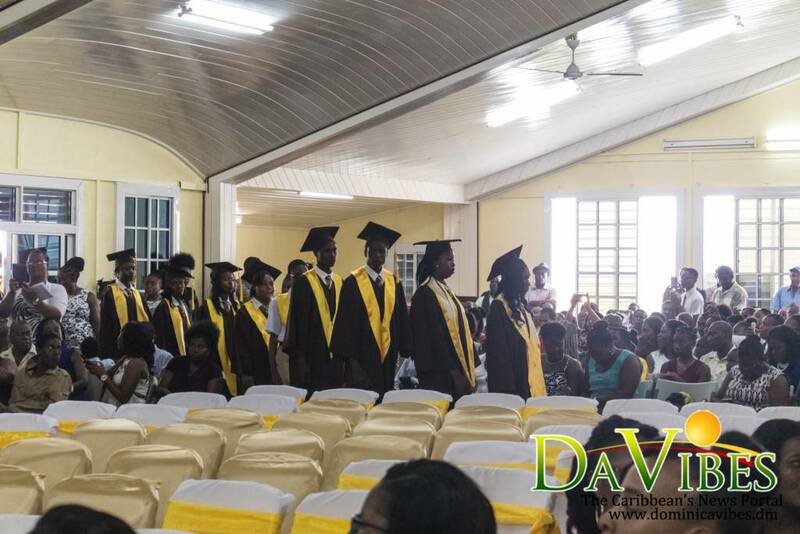 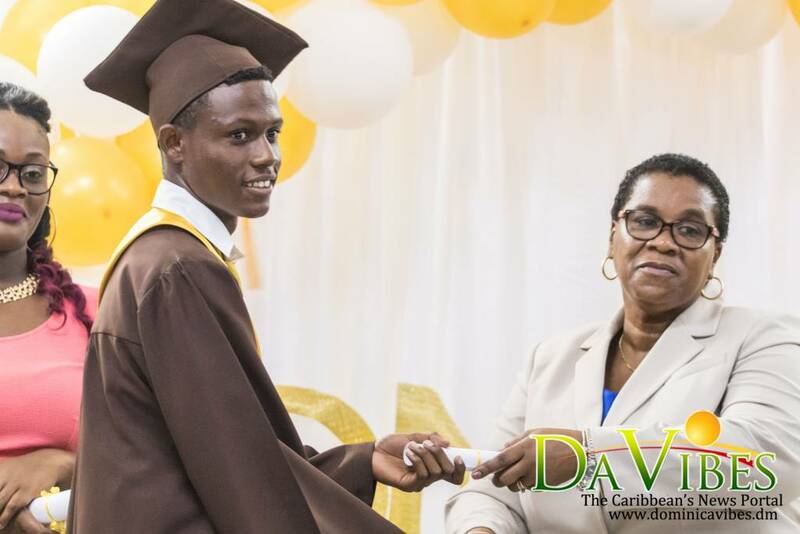 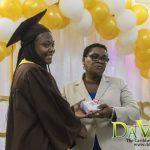 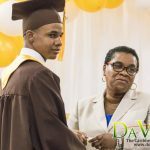 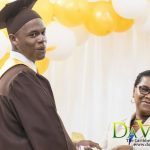 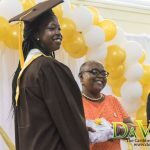 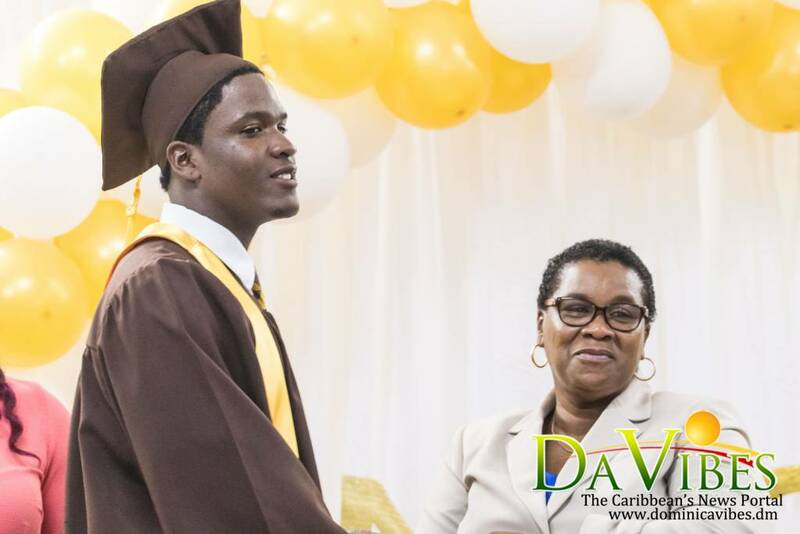 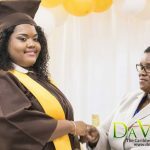 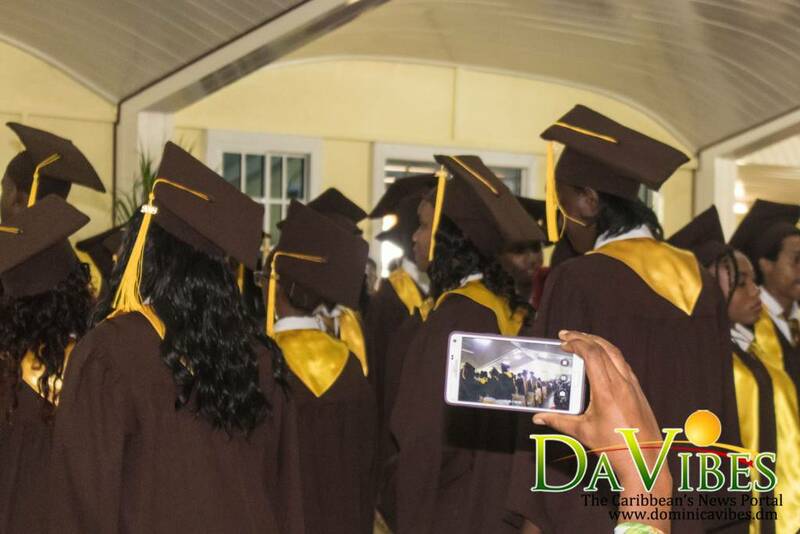 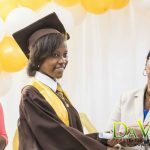 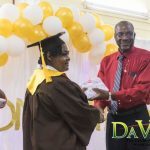 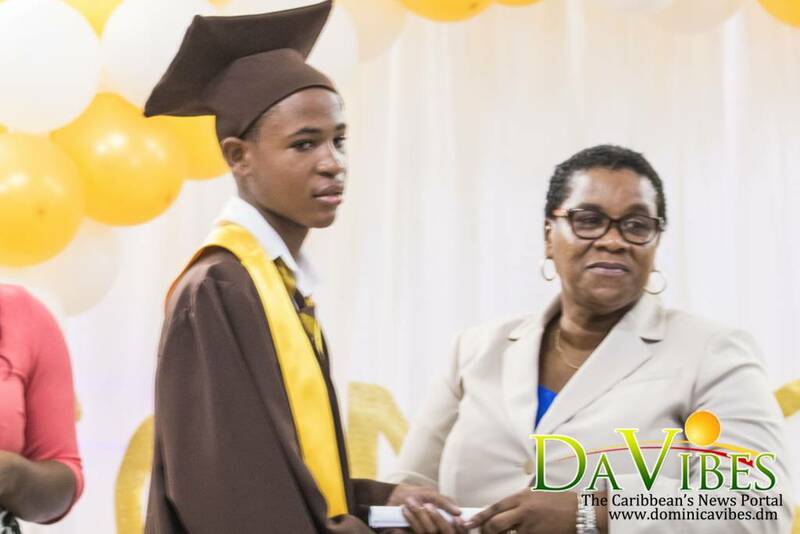 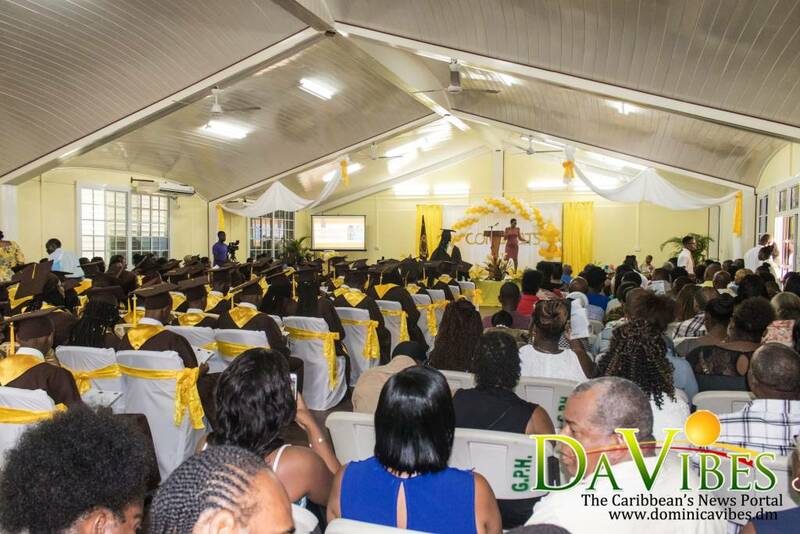 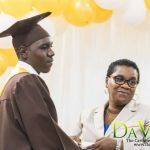 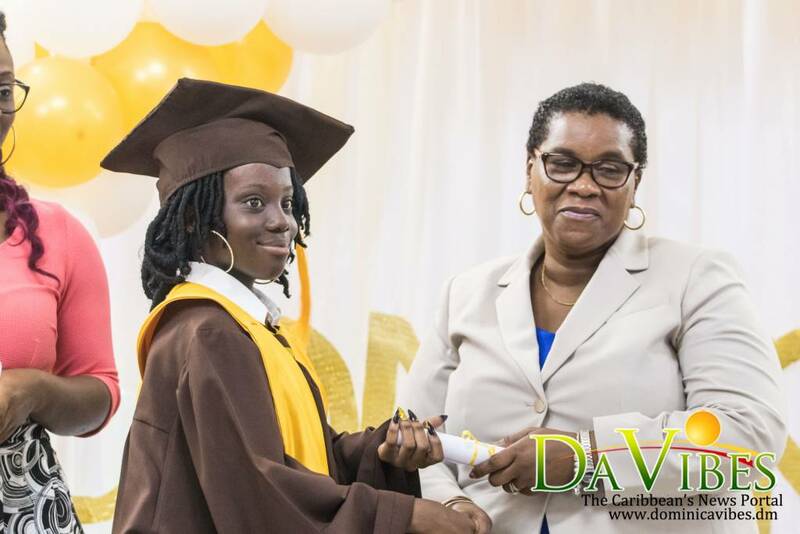 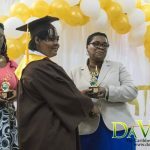 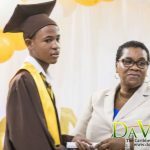 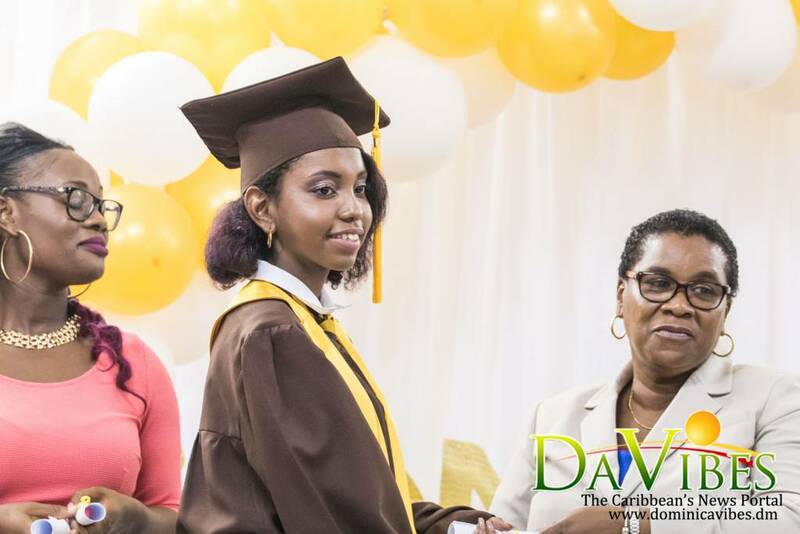 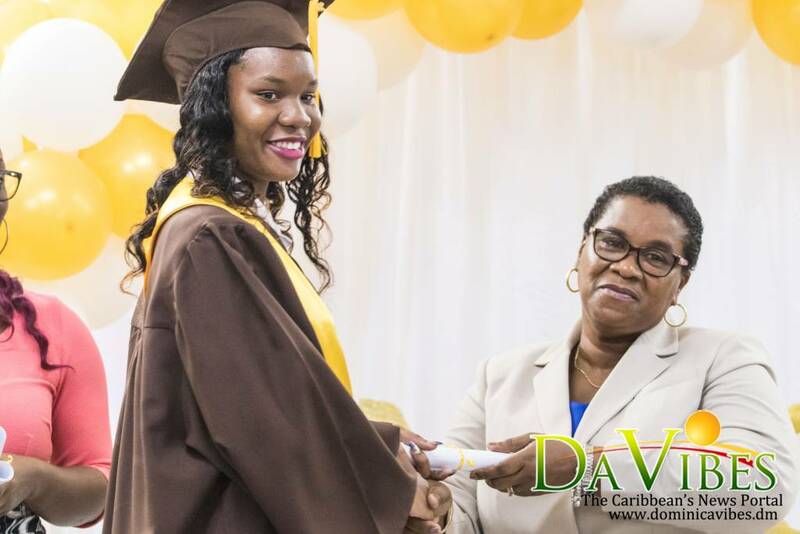 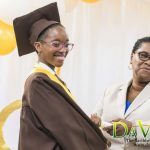 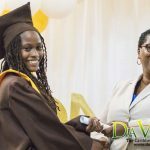 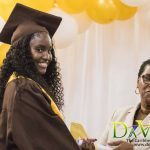 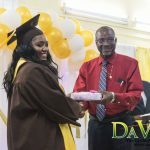 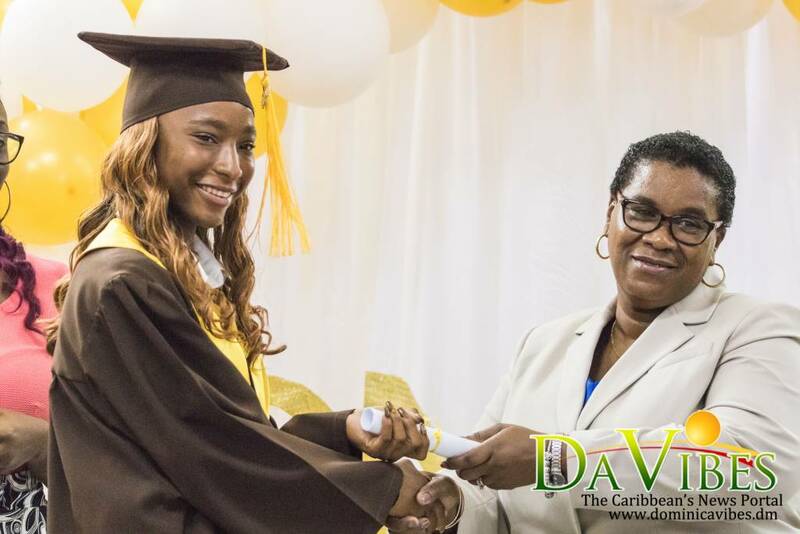 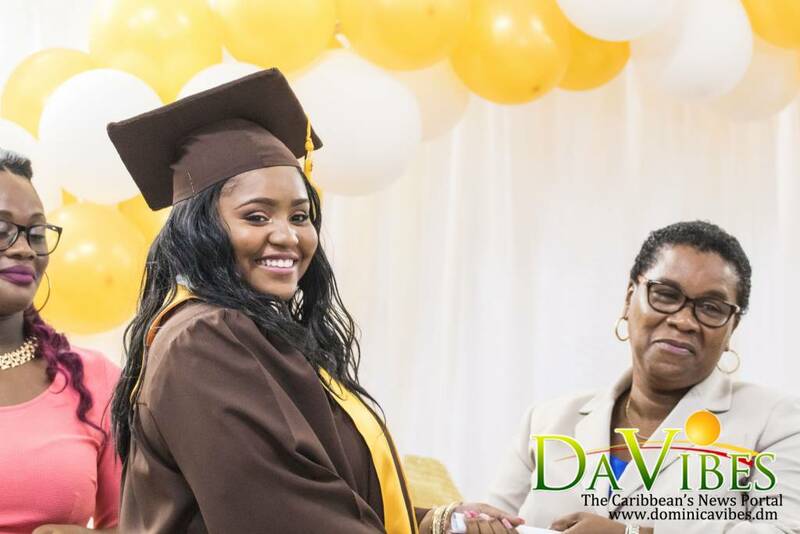 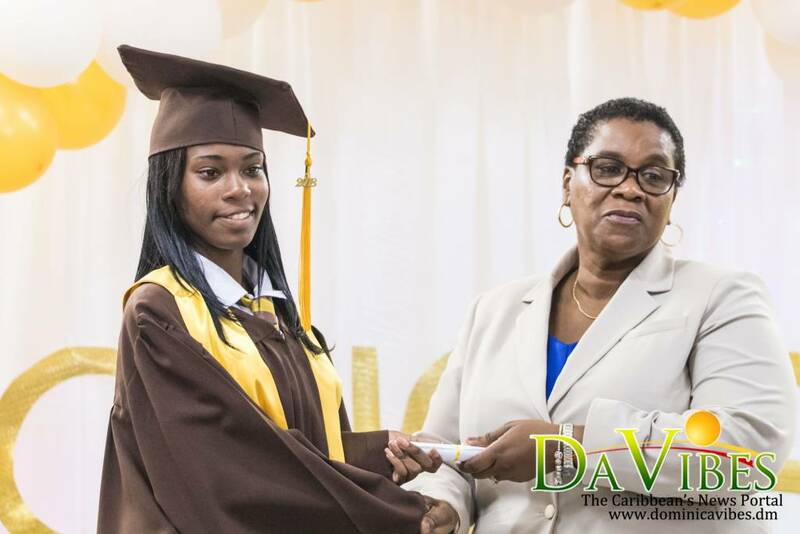 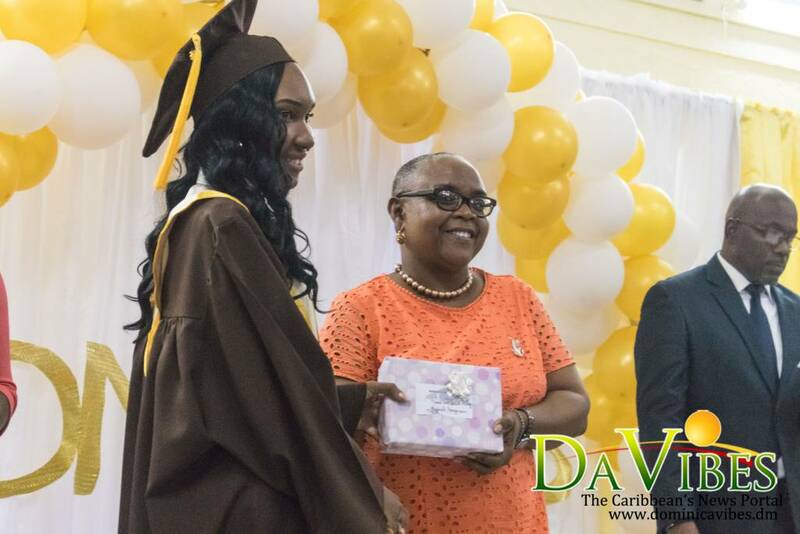 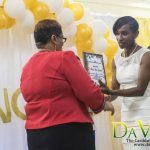 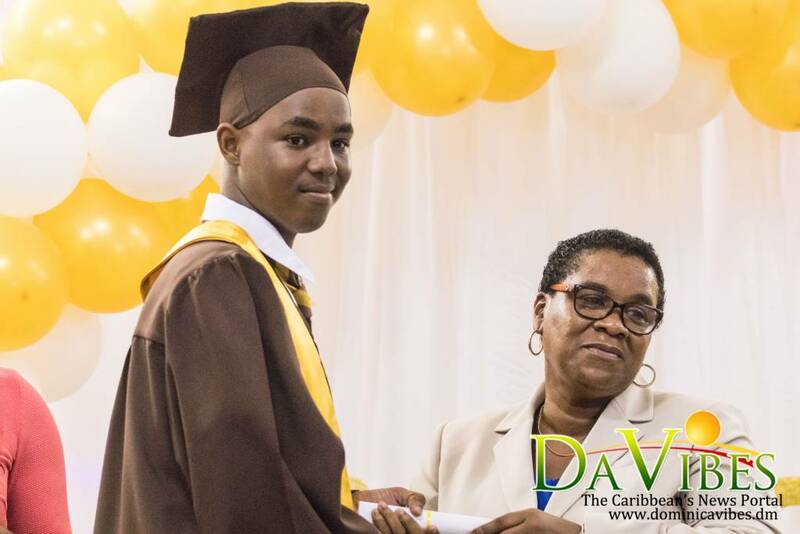 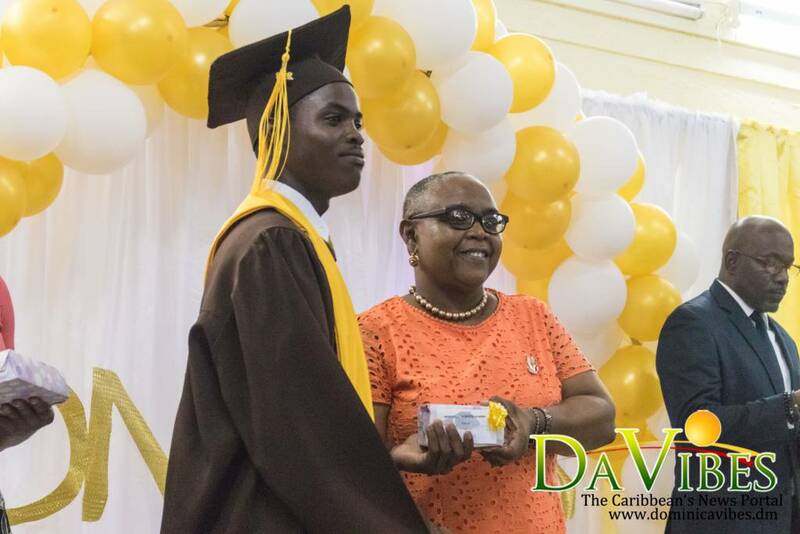 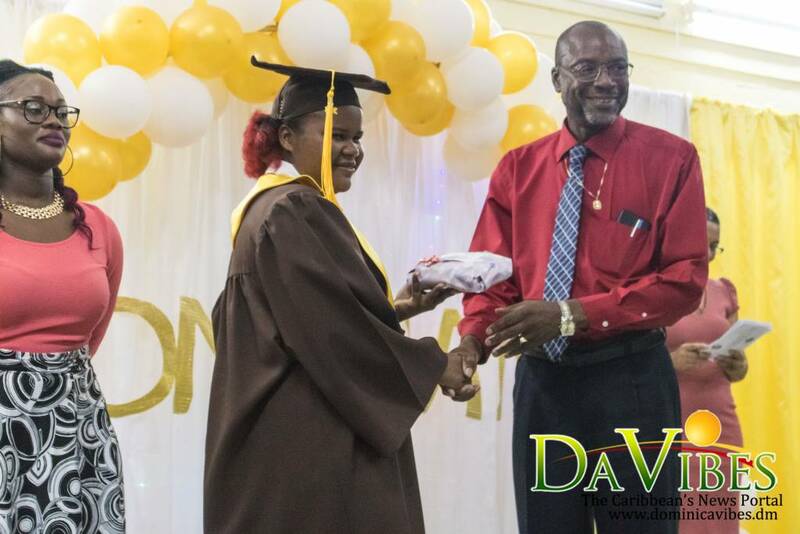 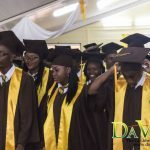 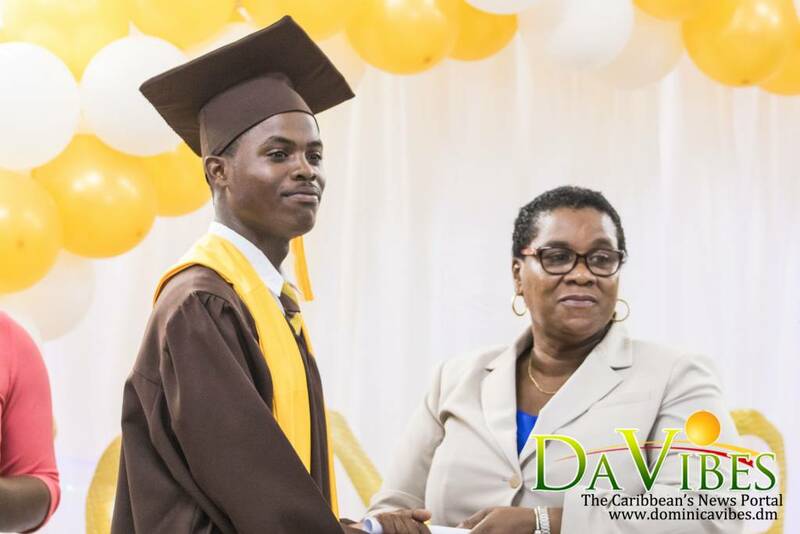 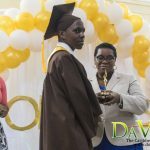 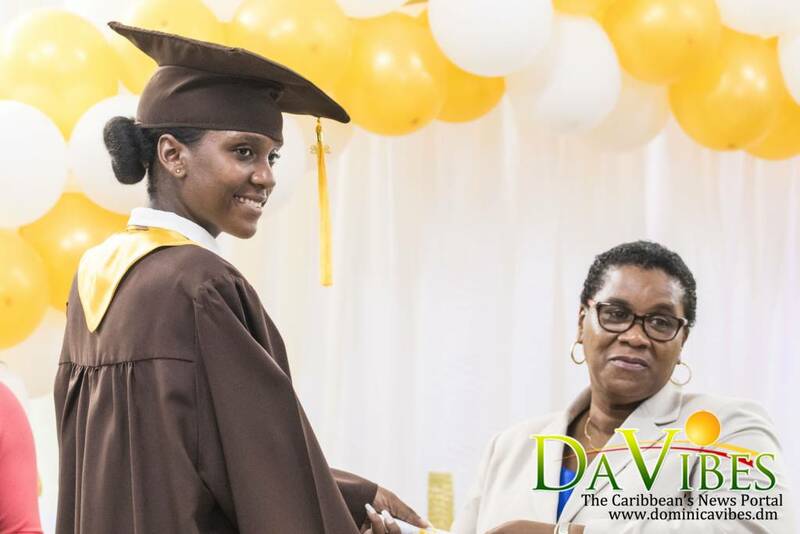 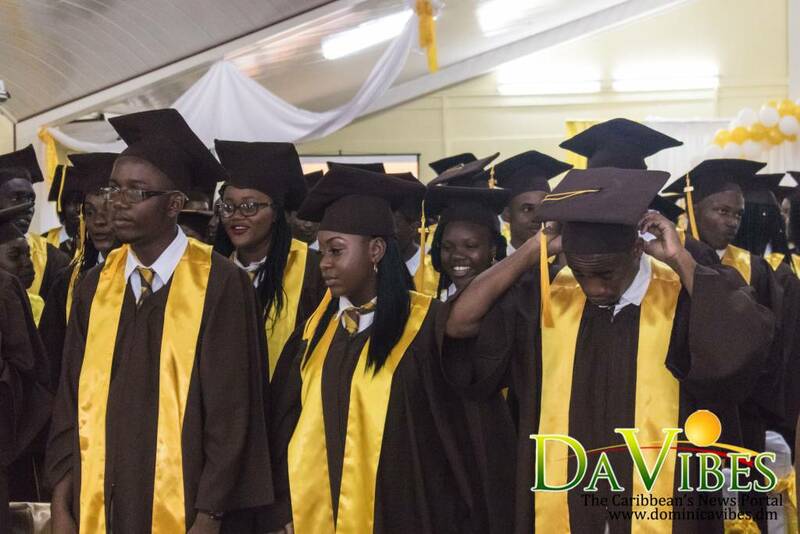 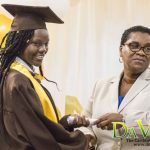 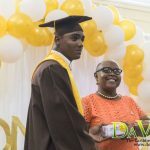 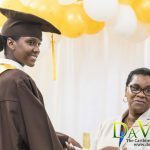 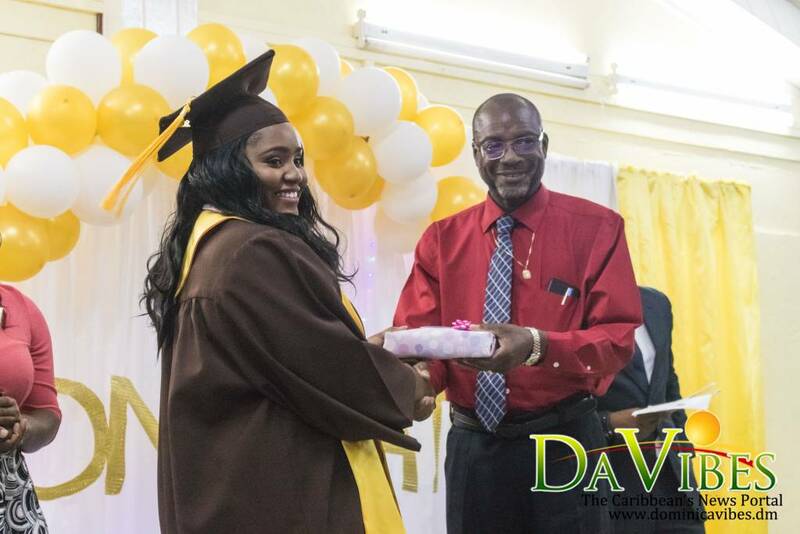 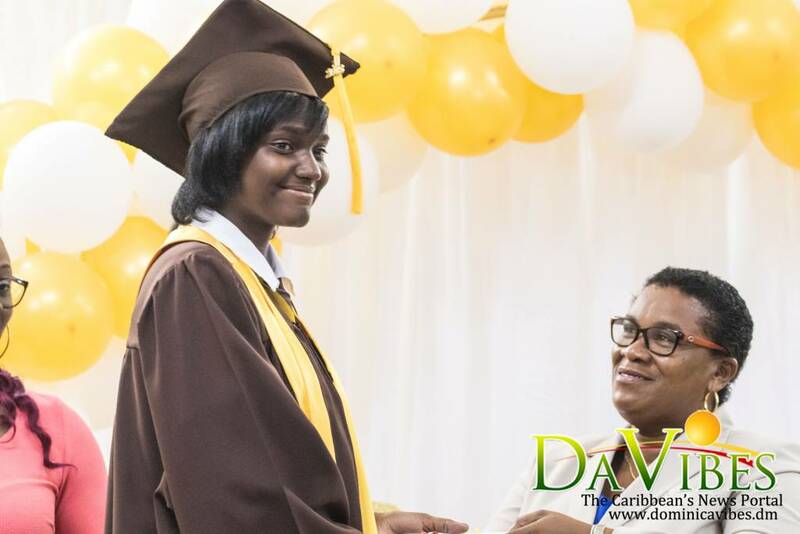 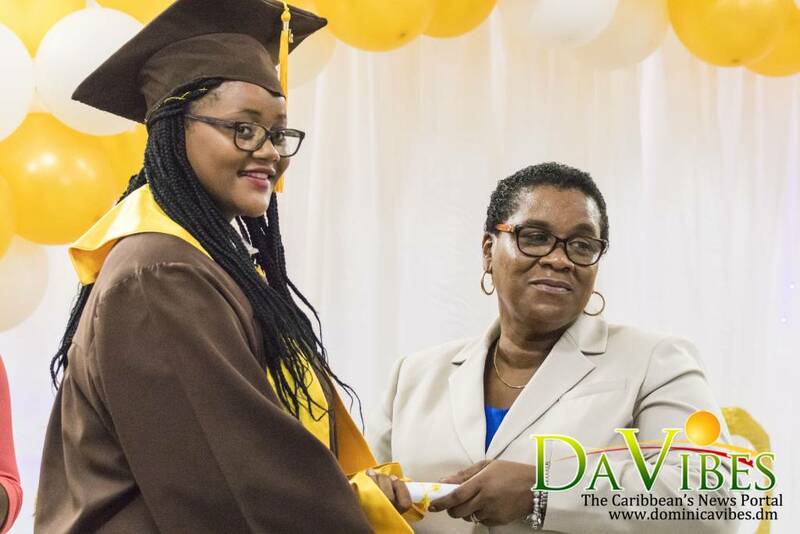 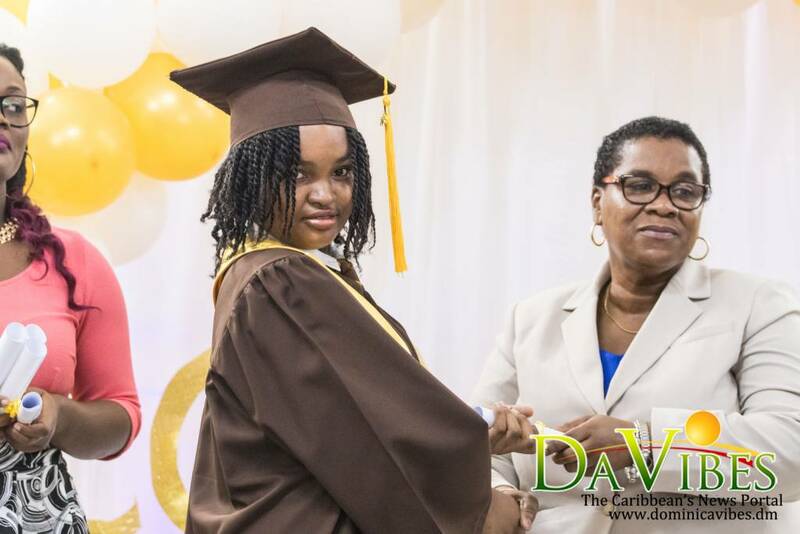 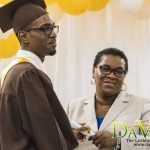 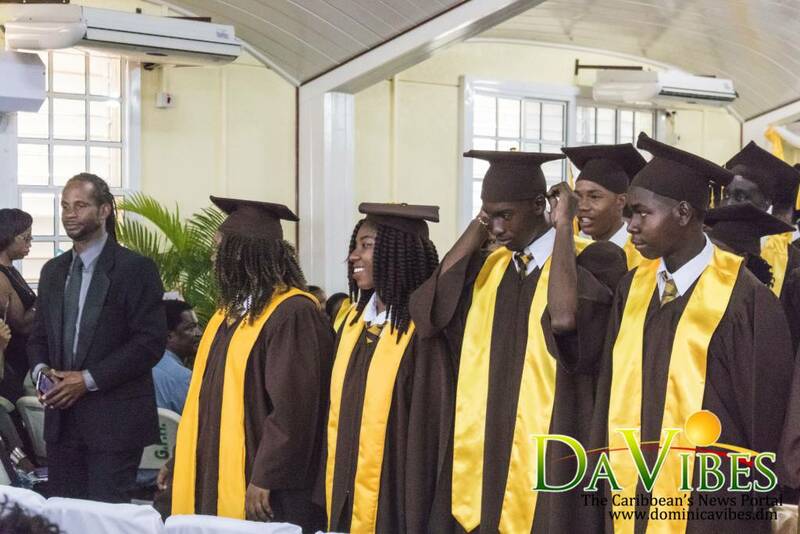 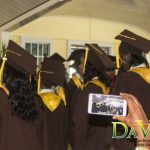 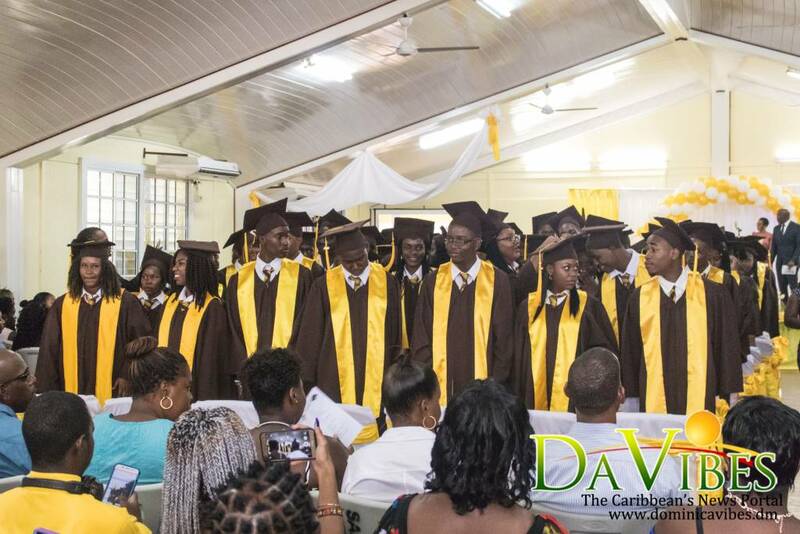 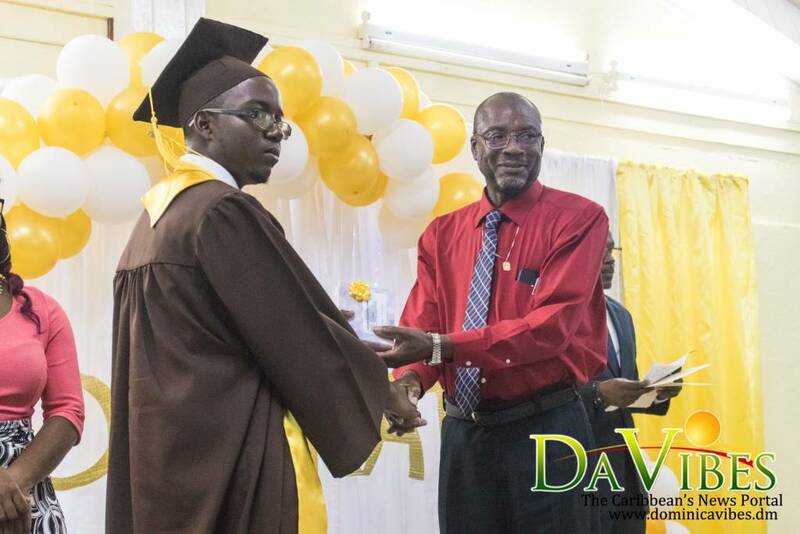 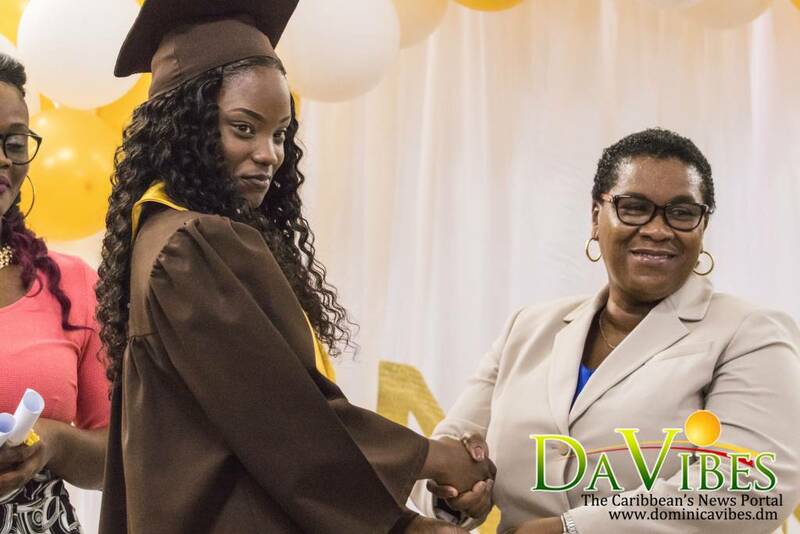 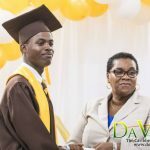 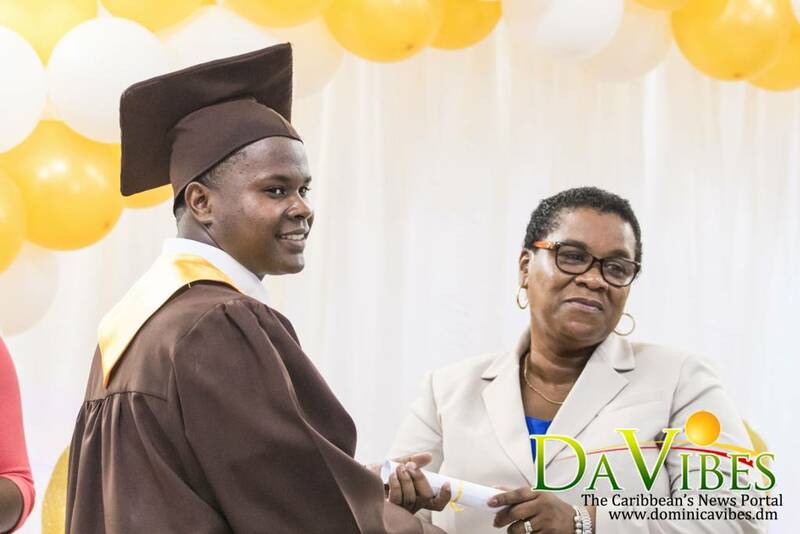 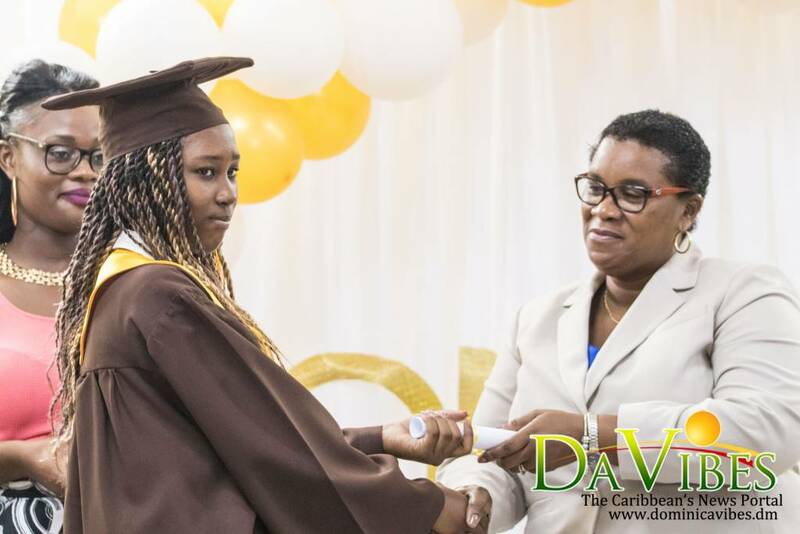 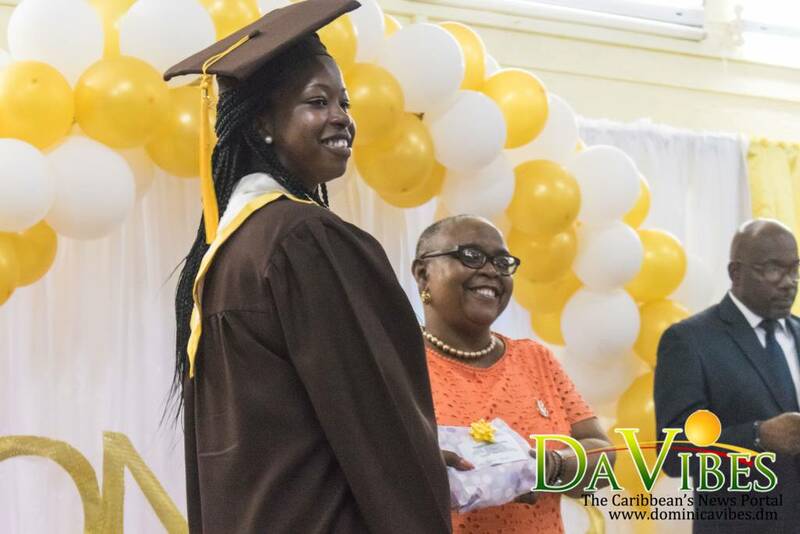 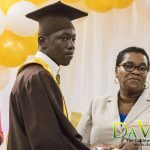 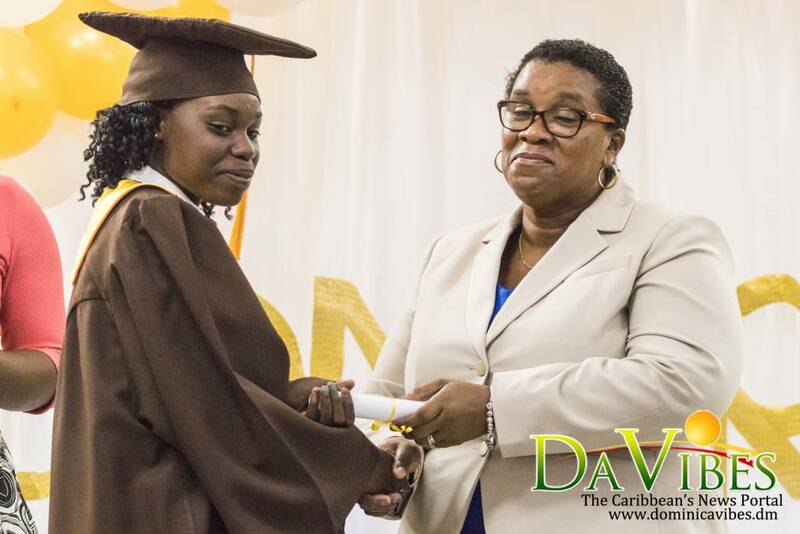 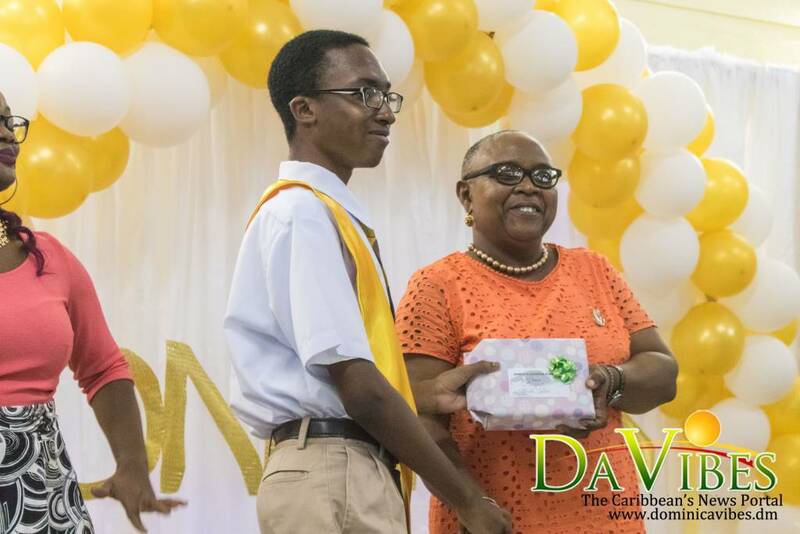 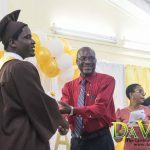 Eighty-two (82) students said goodbye to the Dominica Grammar School (DGS) when the institution hosted its annual graduation on Monday 25 June 2018. 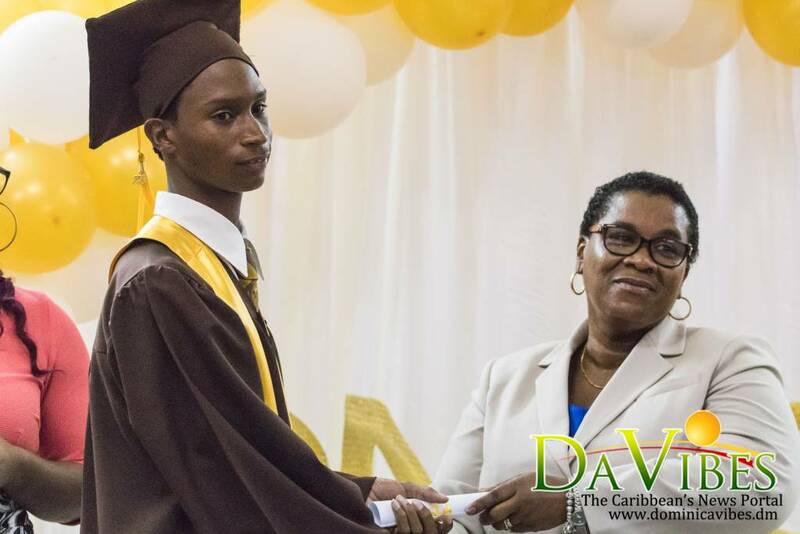 Kyssiah Bougouneau, who graduated with honors, was named valedictorian. 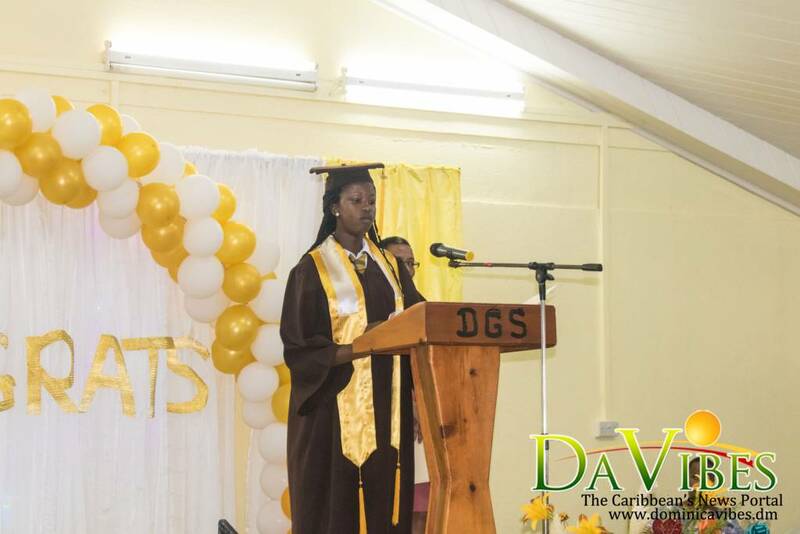 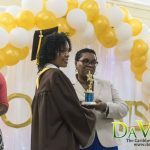 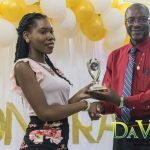 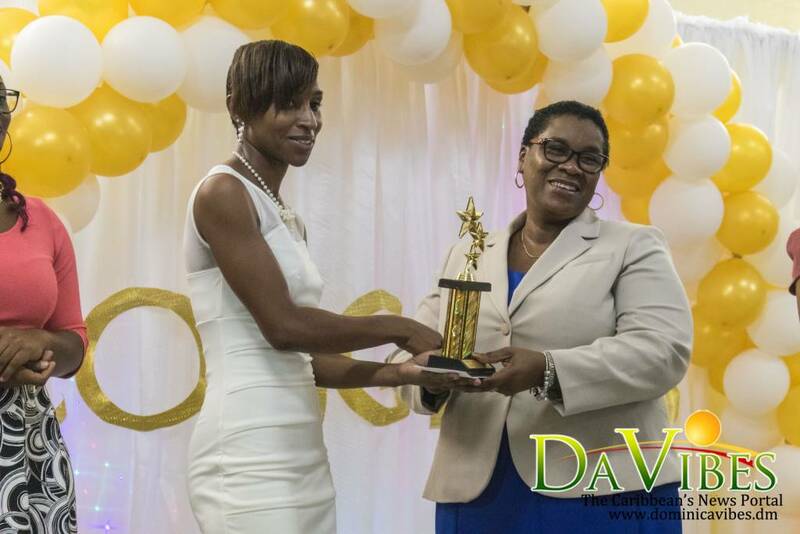 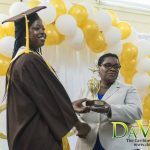 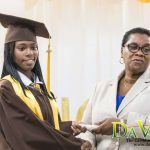 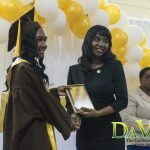 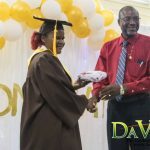 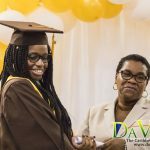 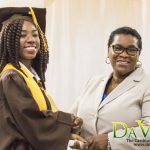 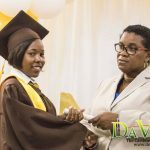 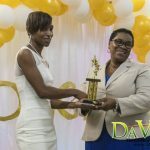 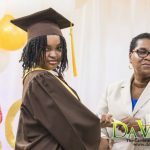 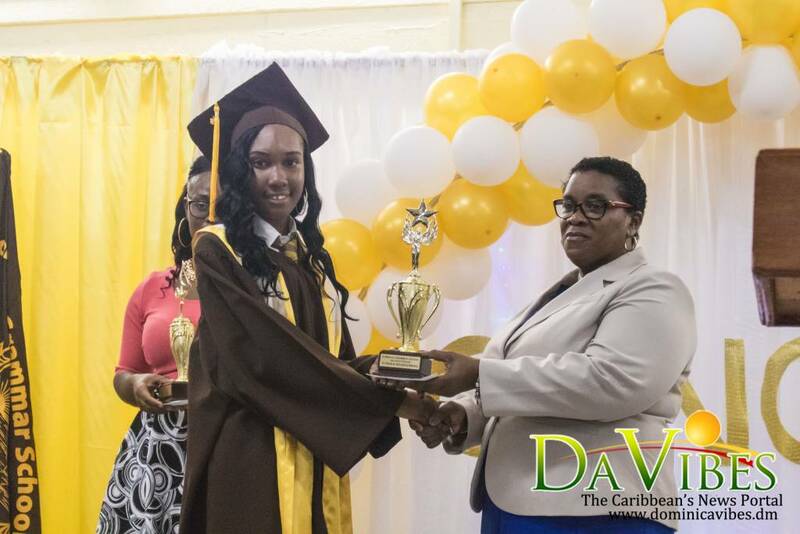 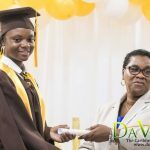 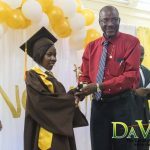 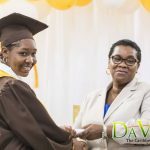 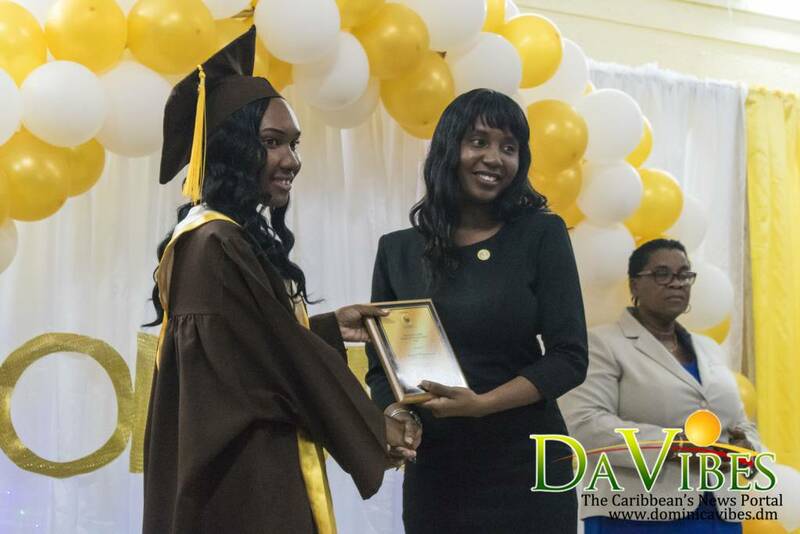 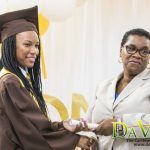 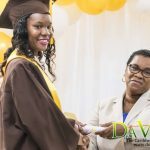 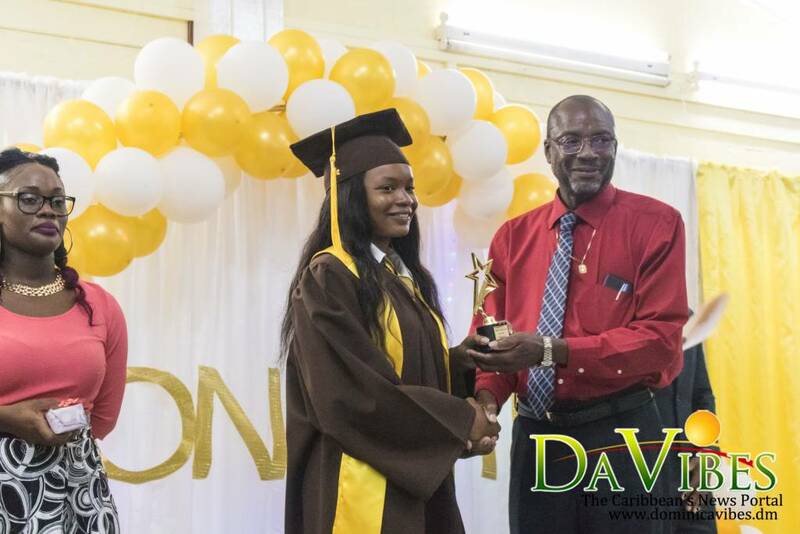 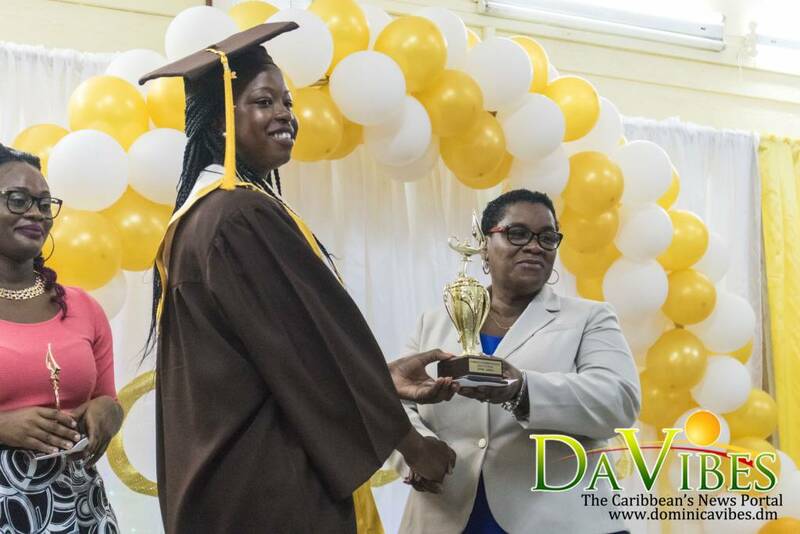 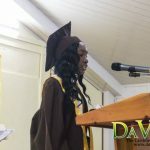 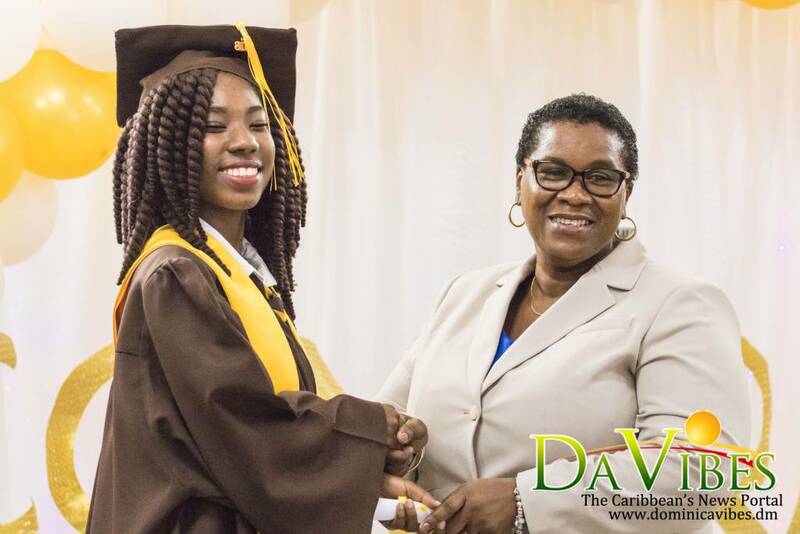 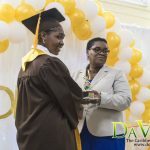 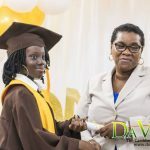 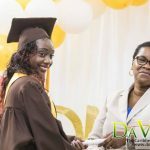 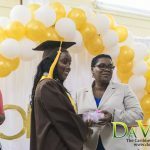 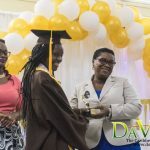 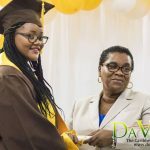 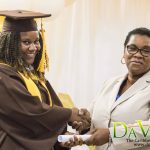 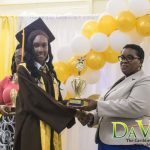 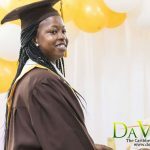 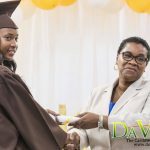 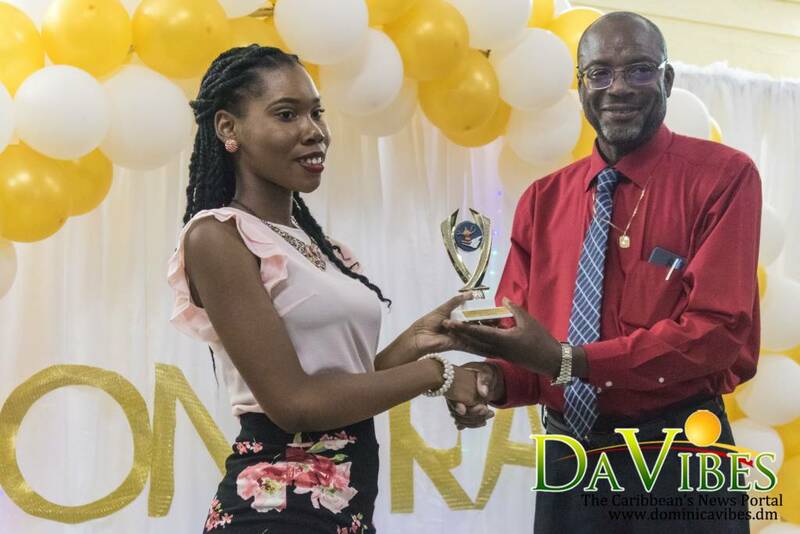 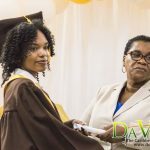 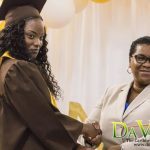 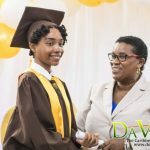 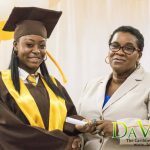 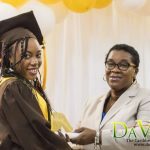 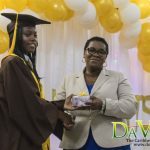 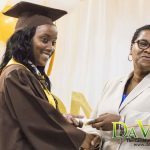 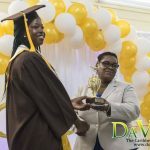 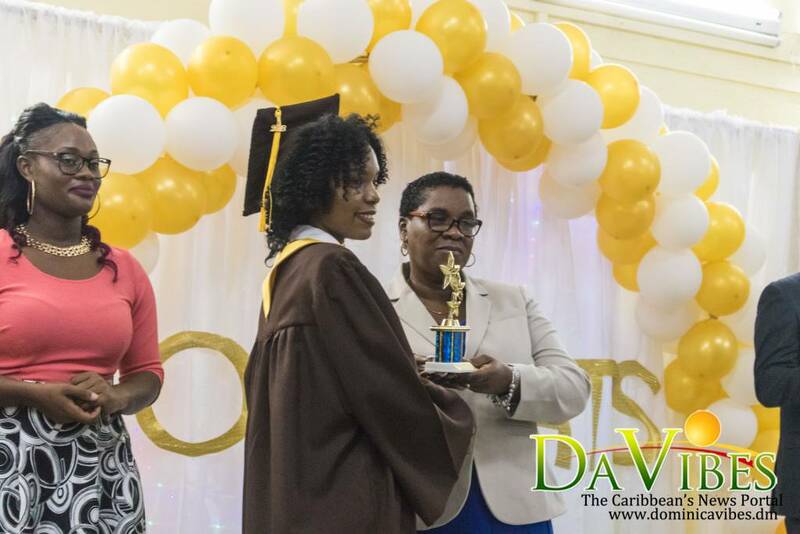 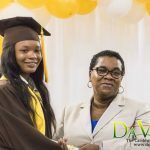 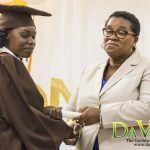 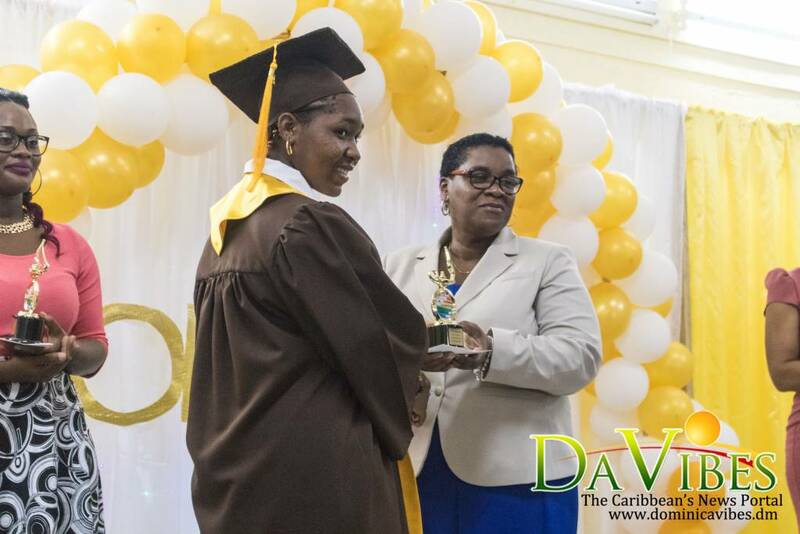 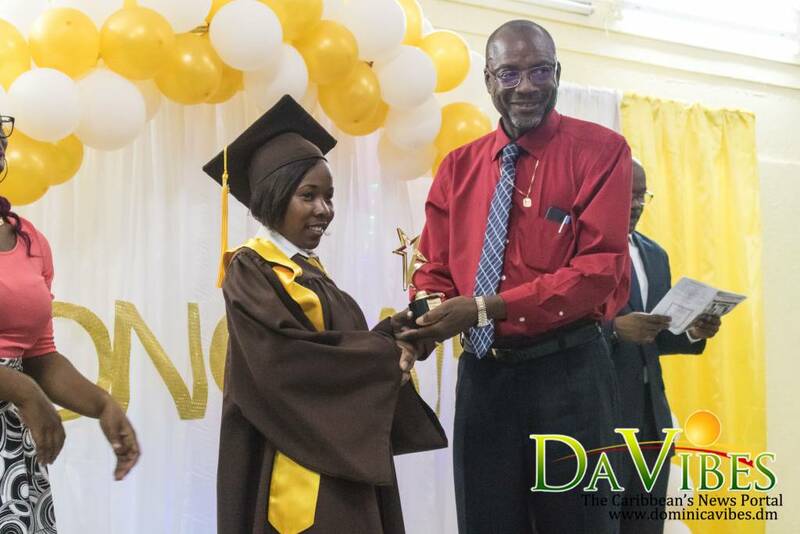 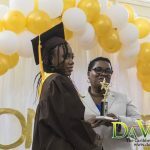 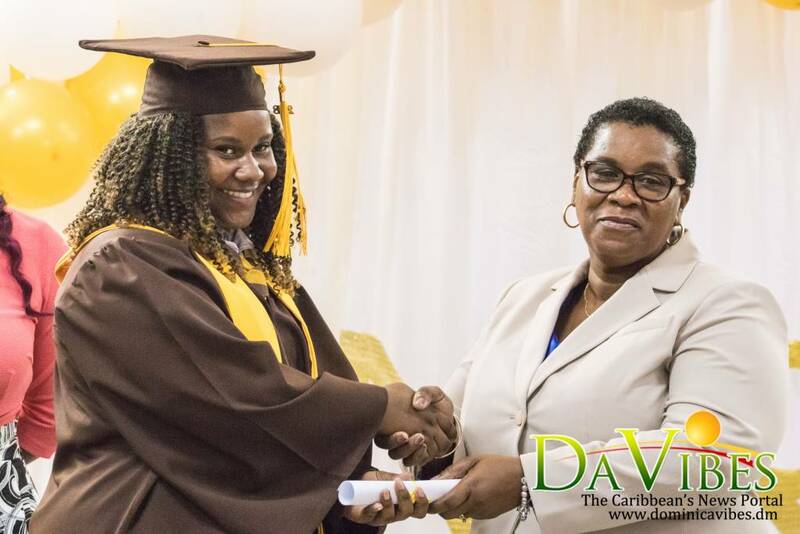 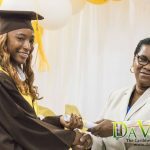 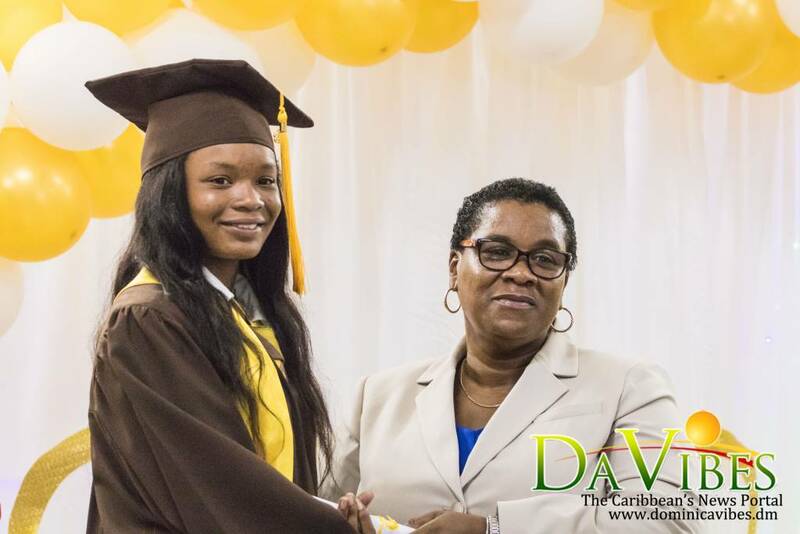 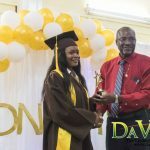 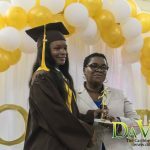 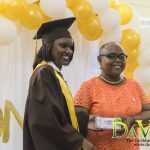 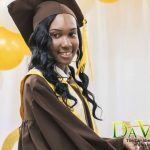 She was presented with the Valedictorian Award, as well as the prizes for Academic Excellence, Principle of Accounts, Human Social Biology, Social Studies, Principle of Business, and Mathematics. 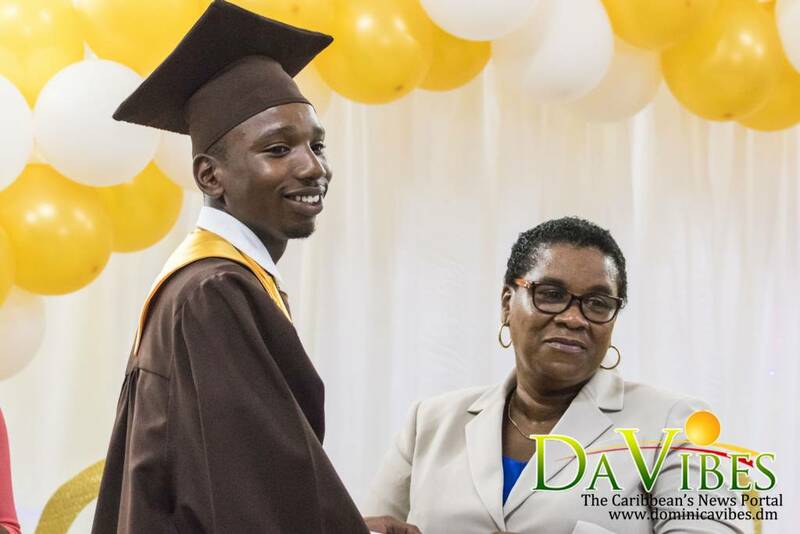 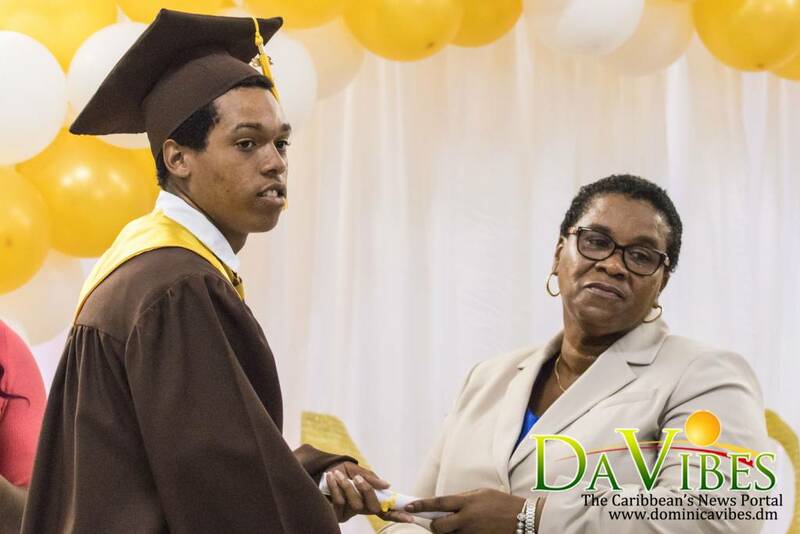 Donn James, who also graduated with honors, was named Salutatorian. 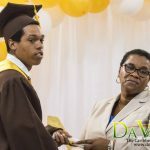 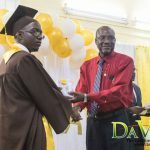 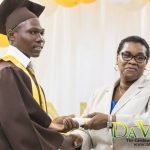 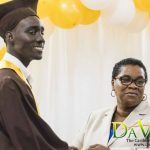 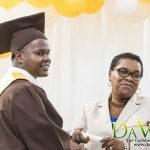 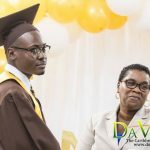 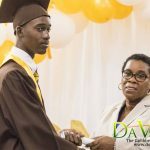 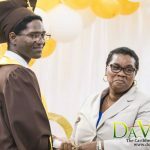 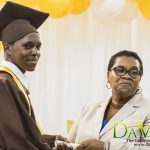 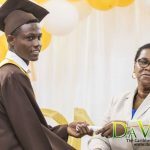 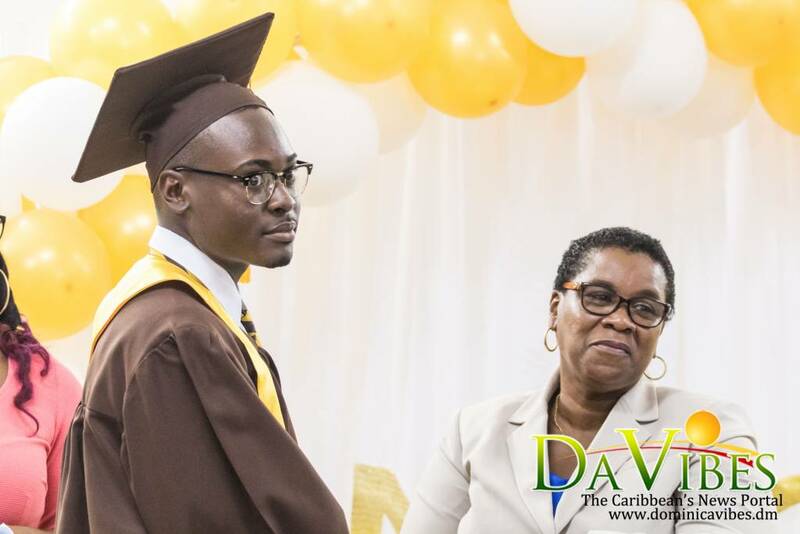 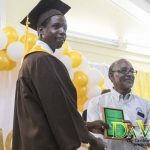 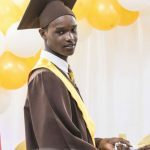 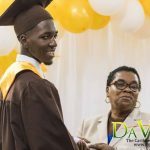 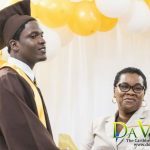 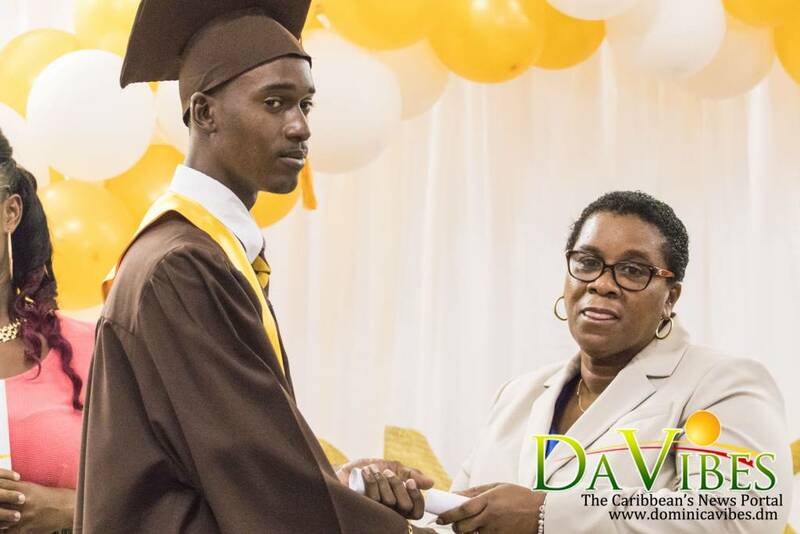 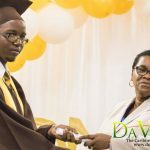 He received the Salutatorian and Application Awards, as well as subject prizes for Human and Social Biology, Agriculture Science, Family and Resource Management and Principle of Business. 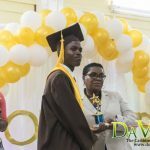 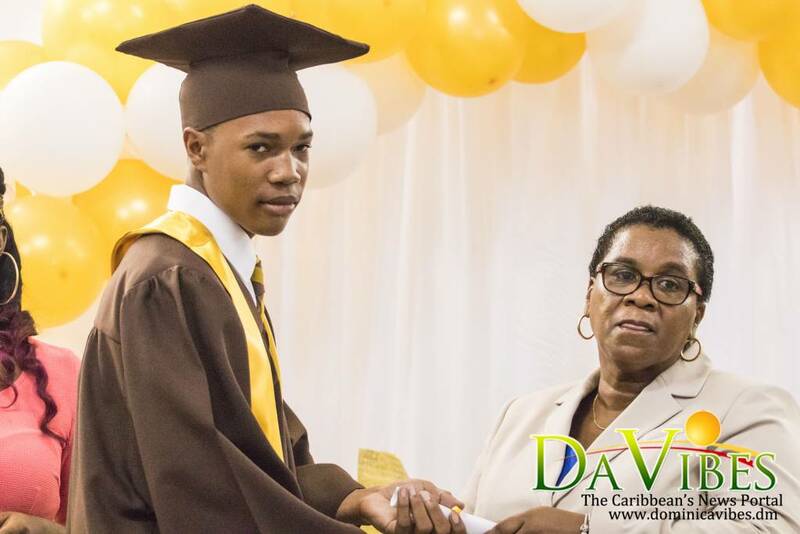 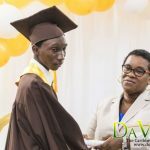 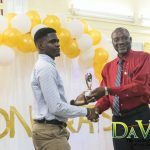 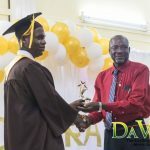 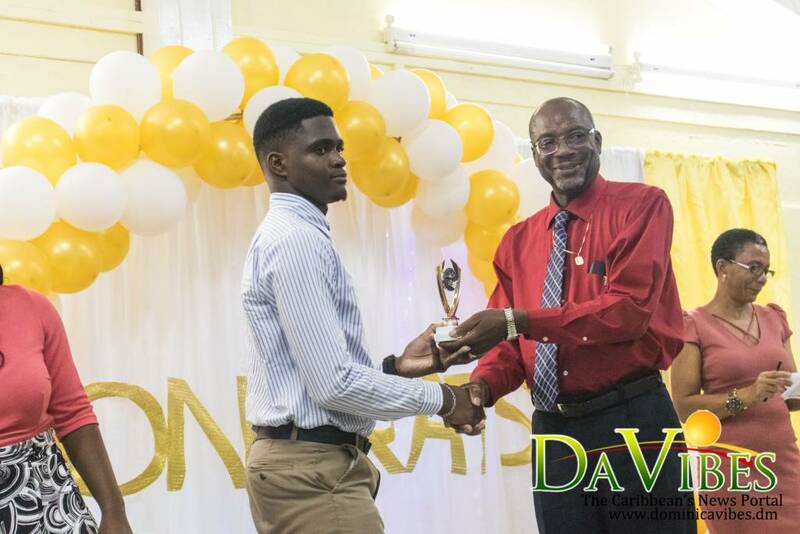 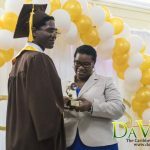 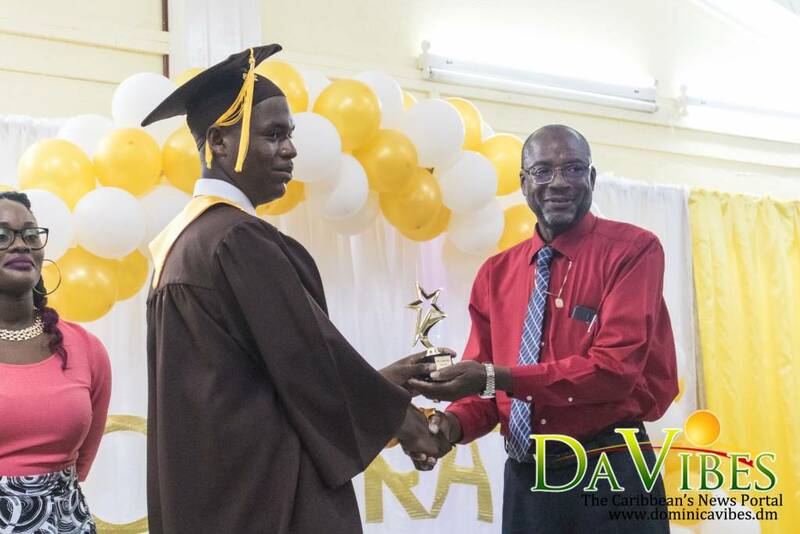 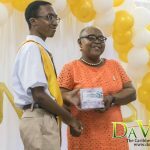 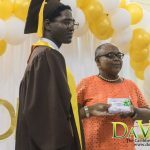 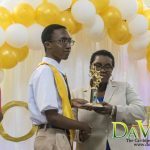 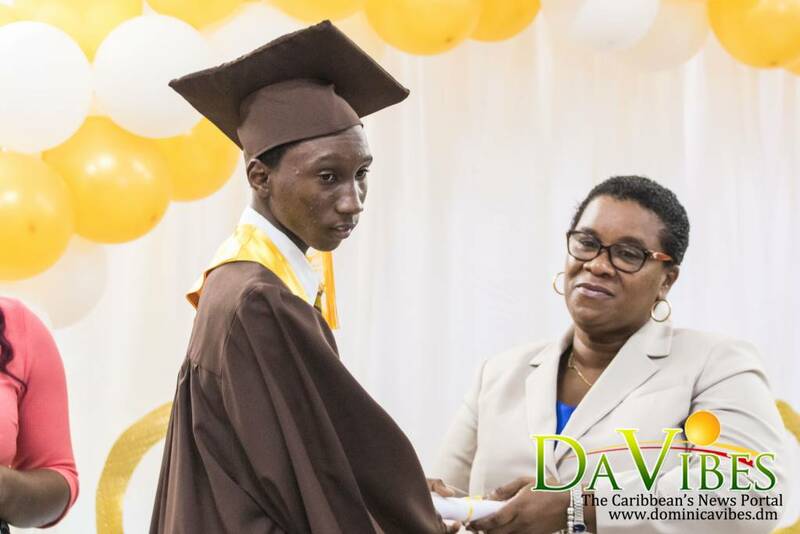 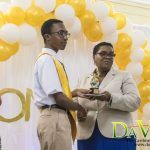 Noah Jules, graduating with merits, took home the PTA Award for Academic Excellence, PTA Award for Conduct and Deportment, Academic Excellence in his form level as well as the subject prizes for Biology, Physics, Information Technology and Technical Drawing. 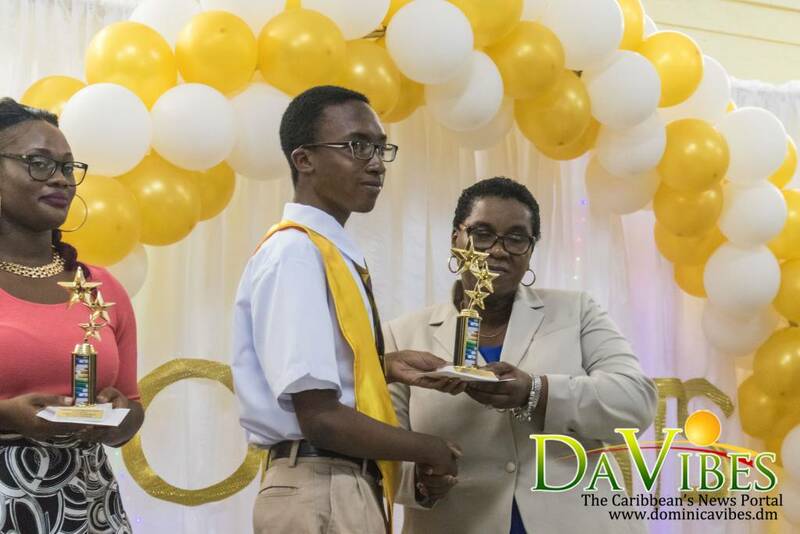 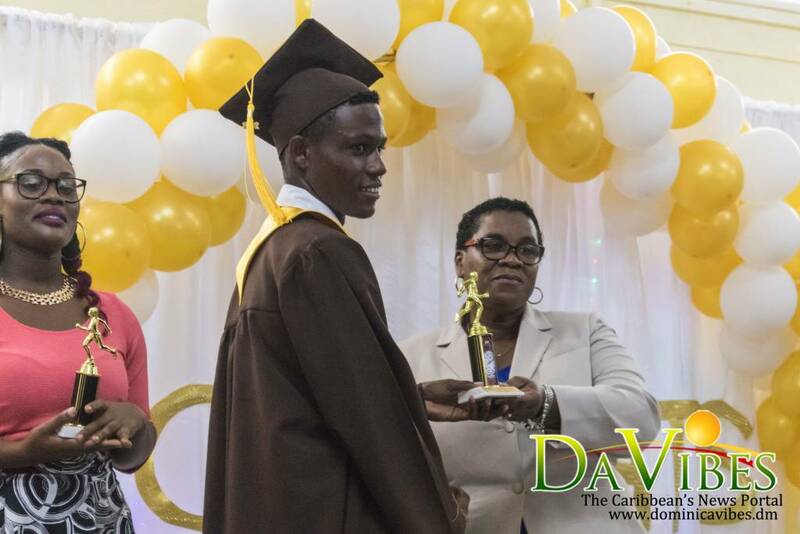 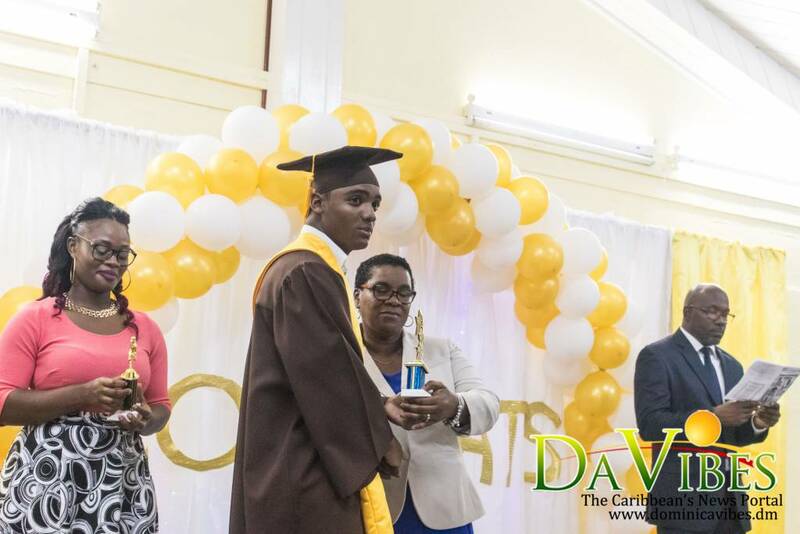 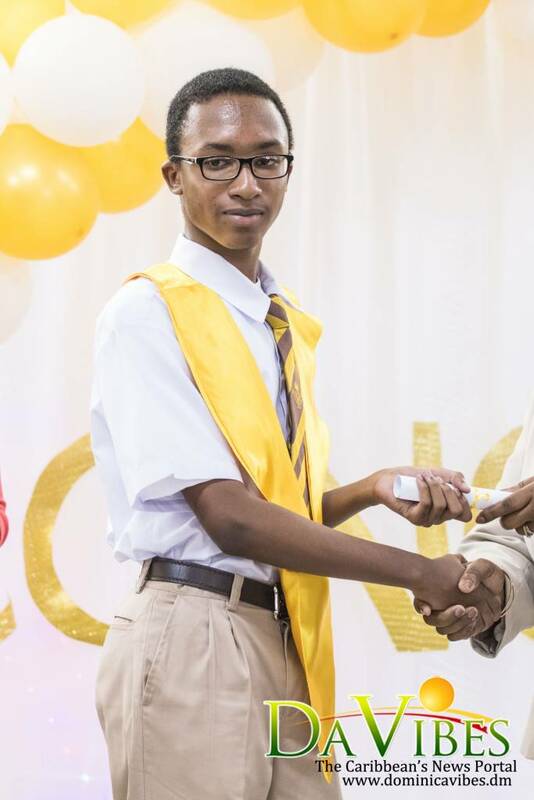 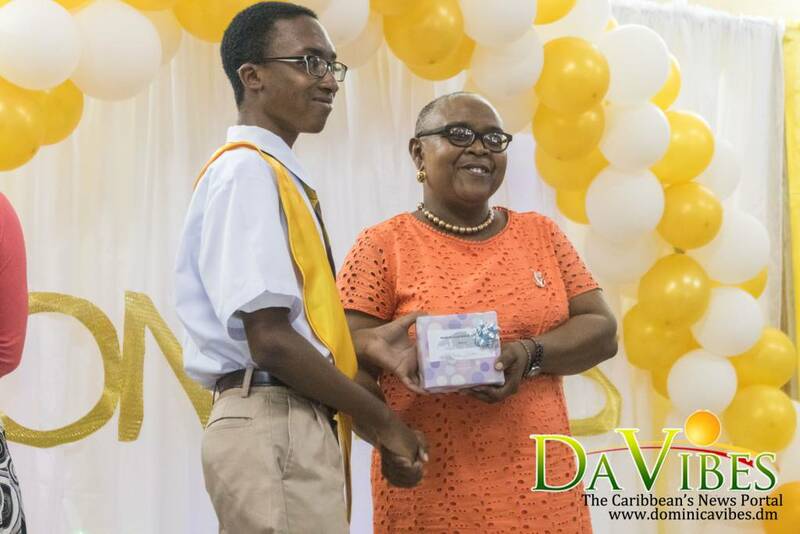 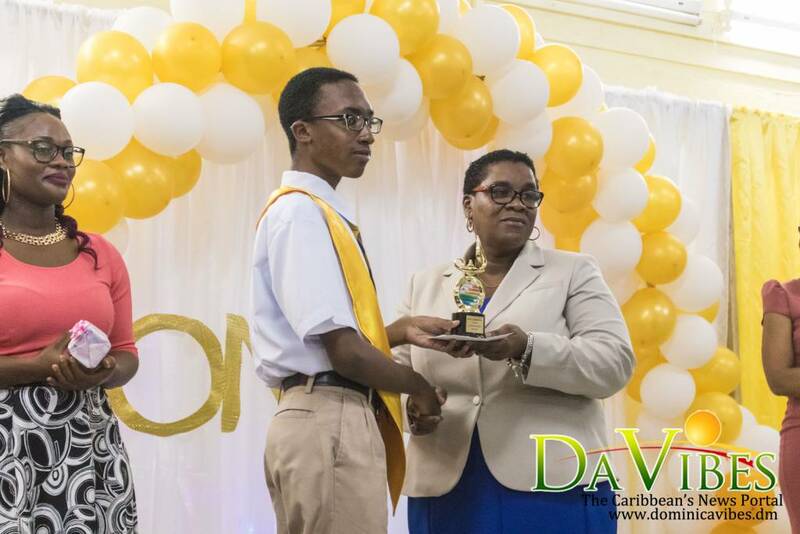 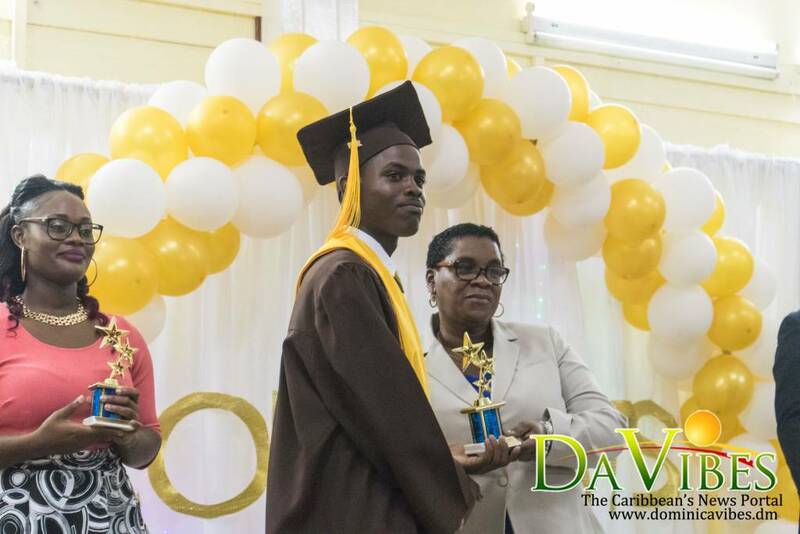 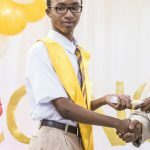 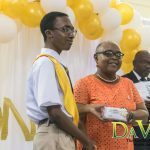 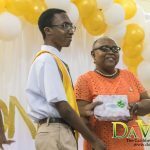 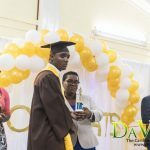 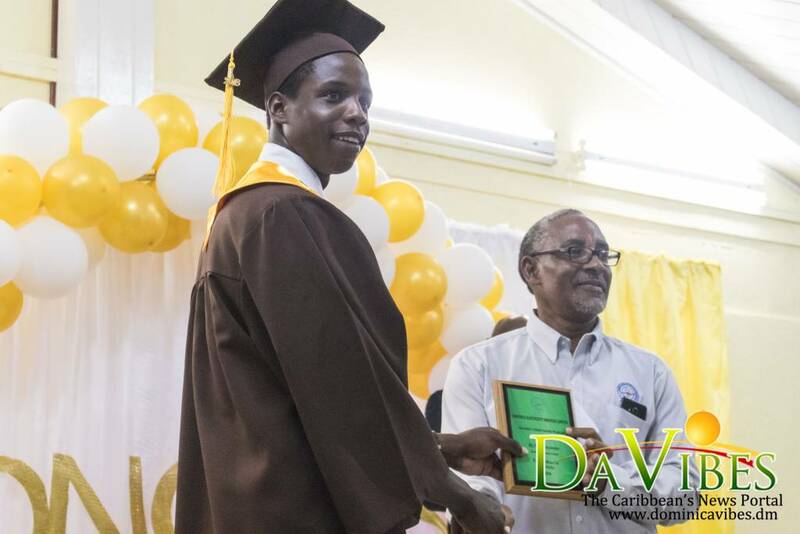 McNill Alexander, Nahim Dupuis and Phylisha Samuel were the other merit graduates with Alexander taking home the prize for Electricity, Dupuis receiving the prizes for Academic Excellence and Principle of Accounts and Samuel receiving the prizes for Effort and Consistency, Office Administration, Integrated Science, and Application. 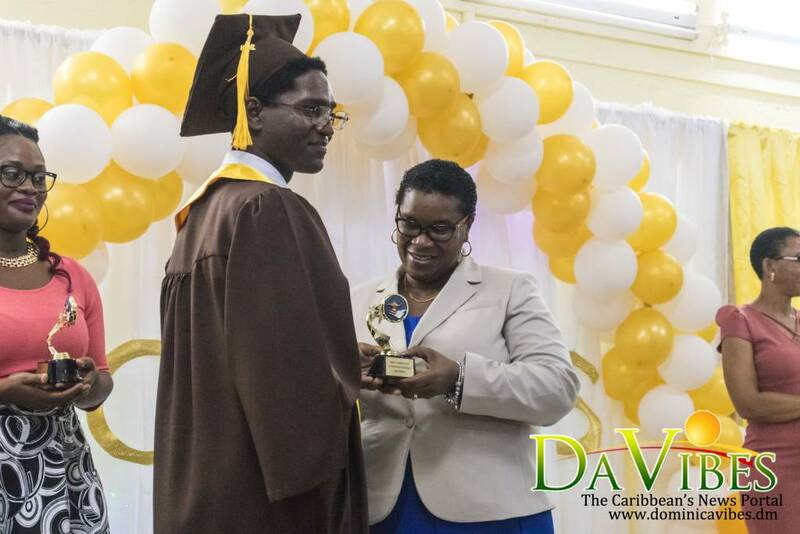 Axel Lammar was awarded Outstanding Male Athlete, while Jeanne Seraphine was awarded Outstanding Female Athlete. 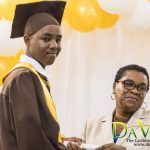 Valedictorian of the Graduating Class, Kyssiah Bougouneau told the graduates that as they follow their different dreams, they should remain positive and continue to work hard. 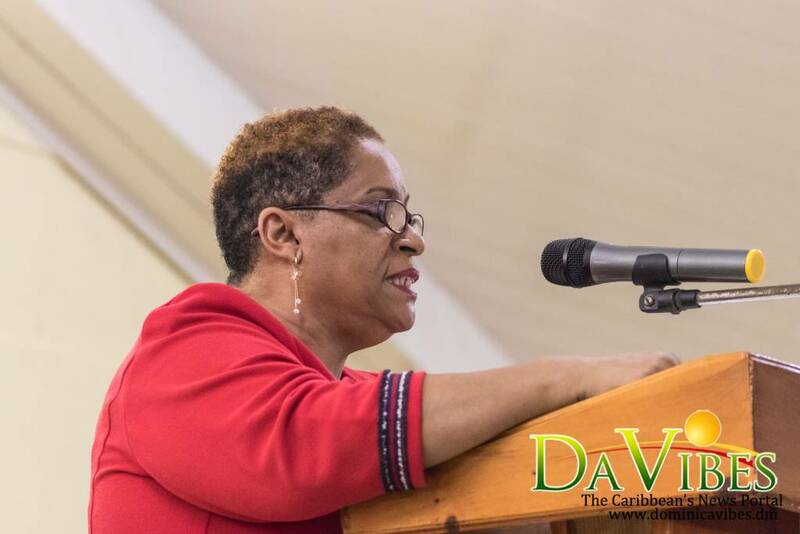 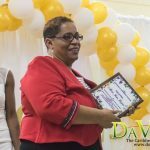 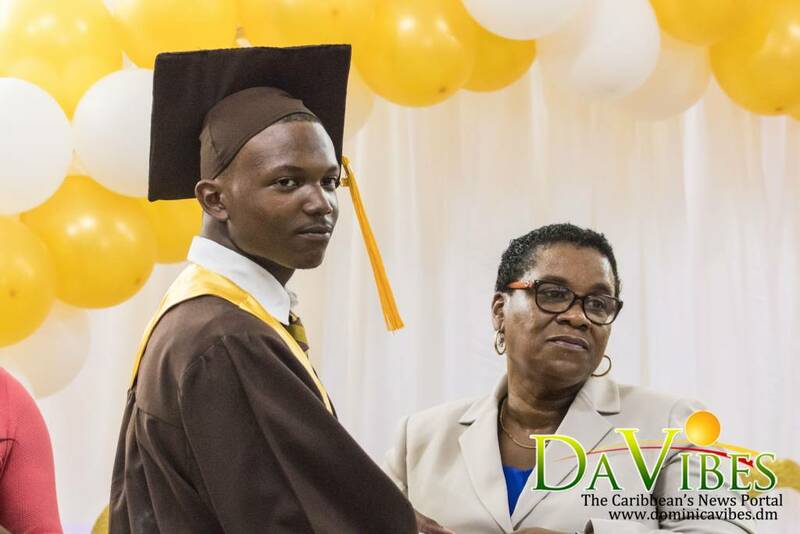 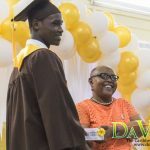 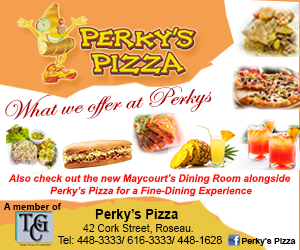 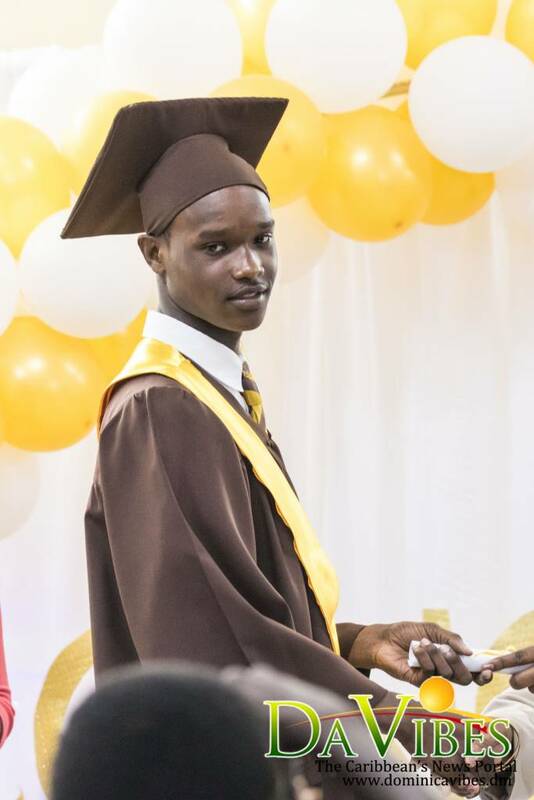 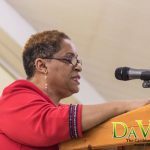 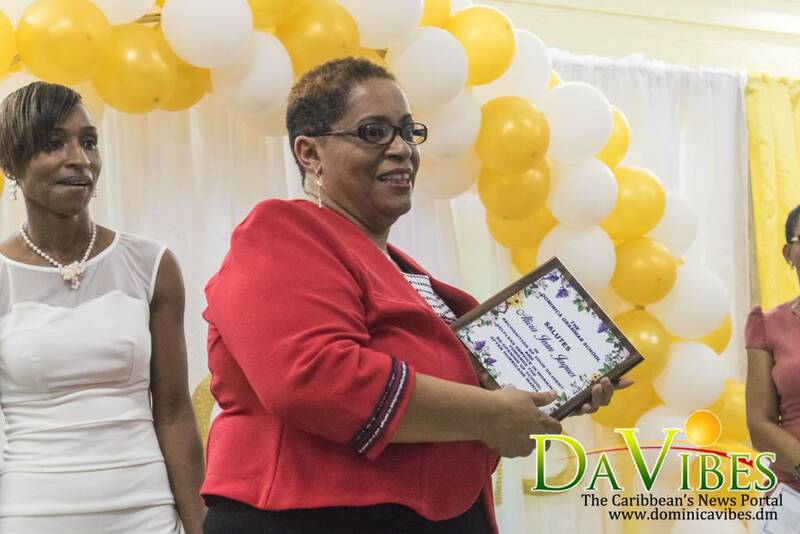 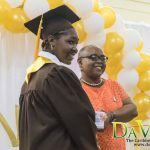 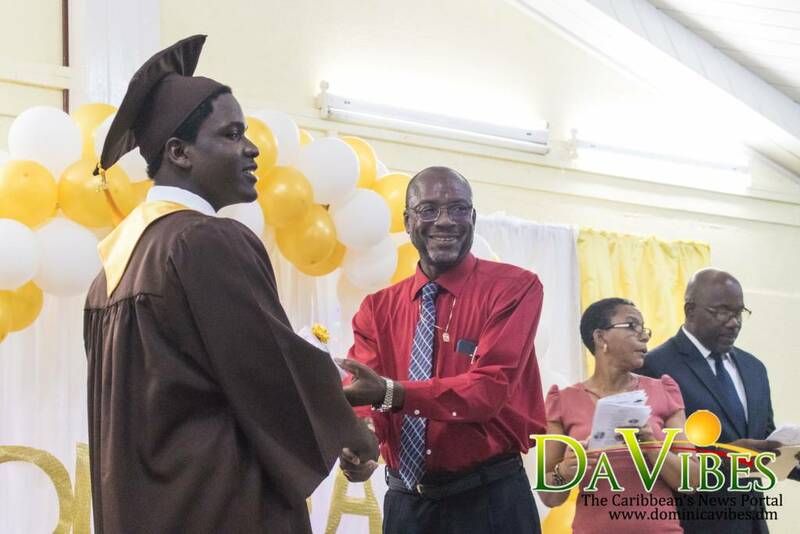 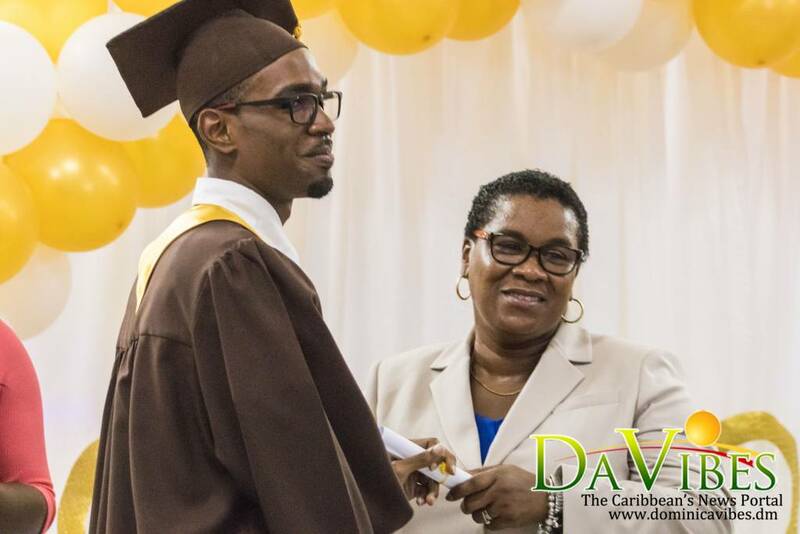 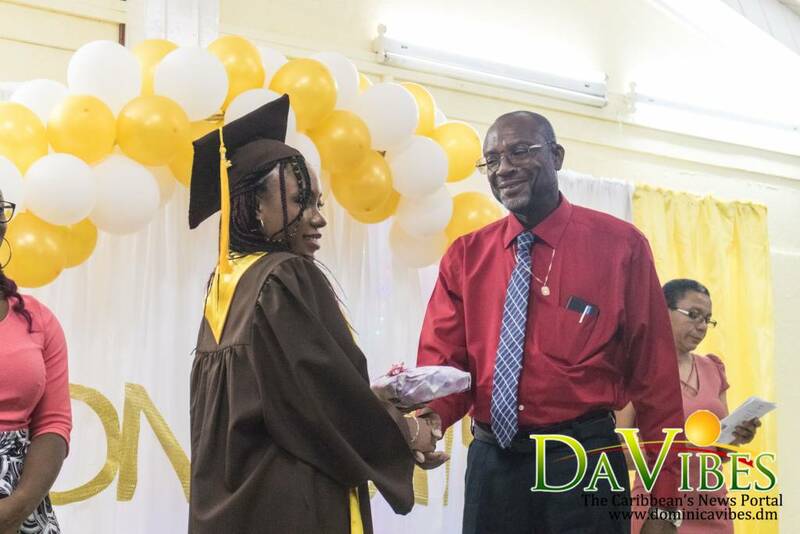 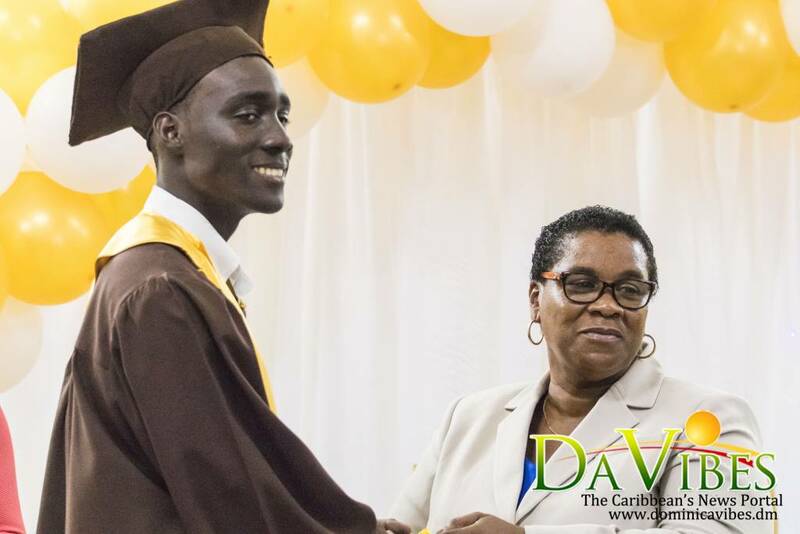 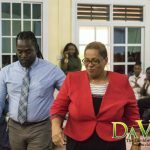 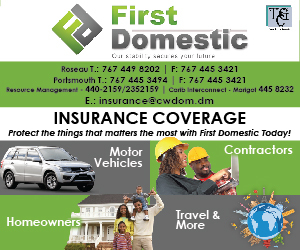 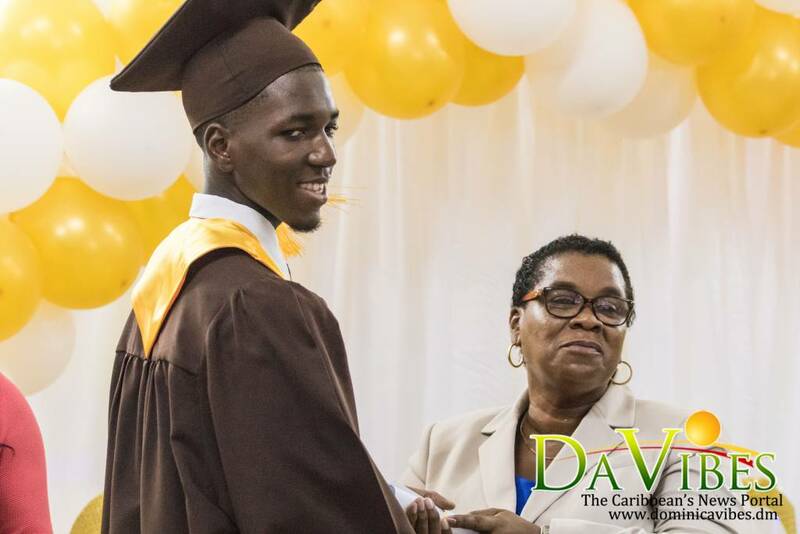 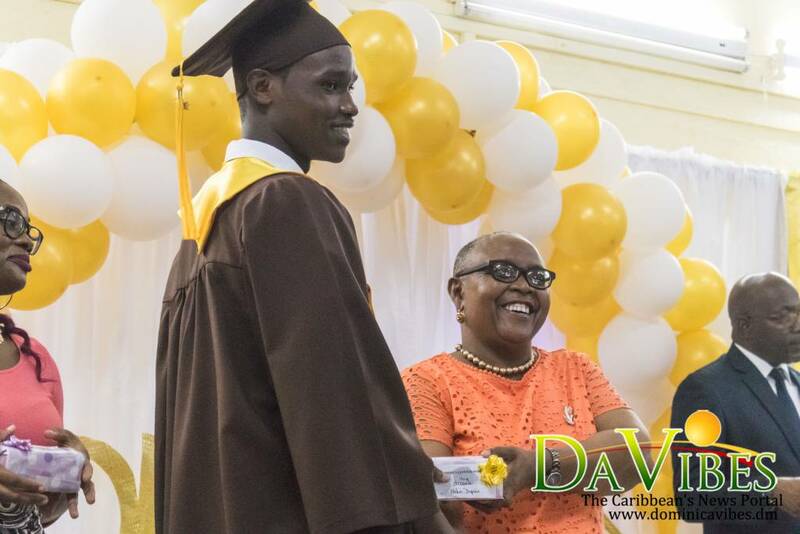 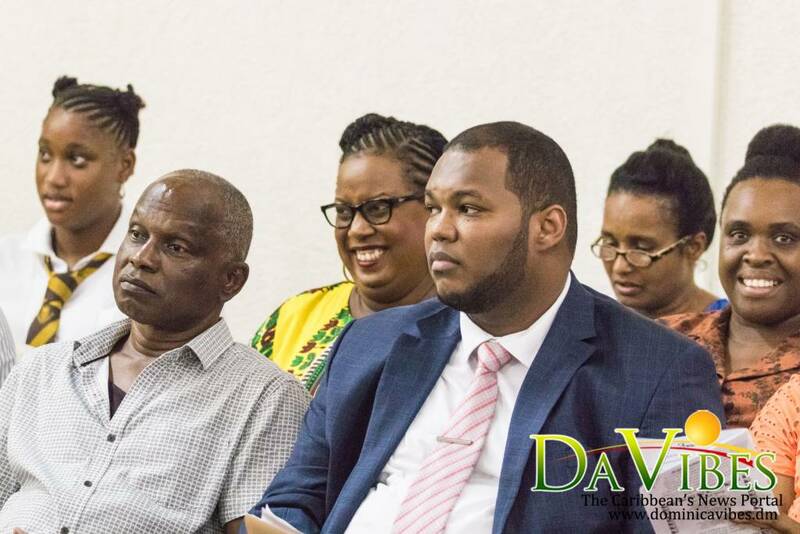 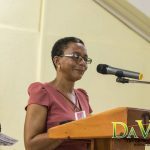 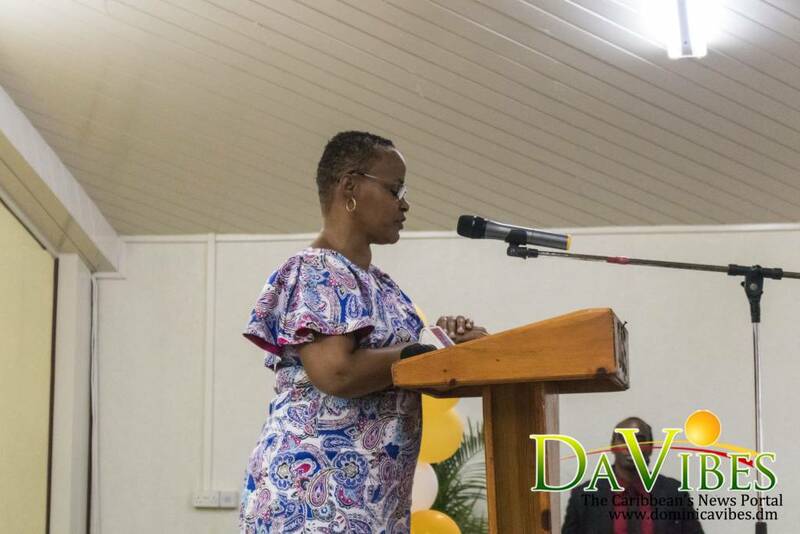 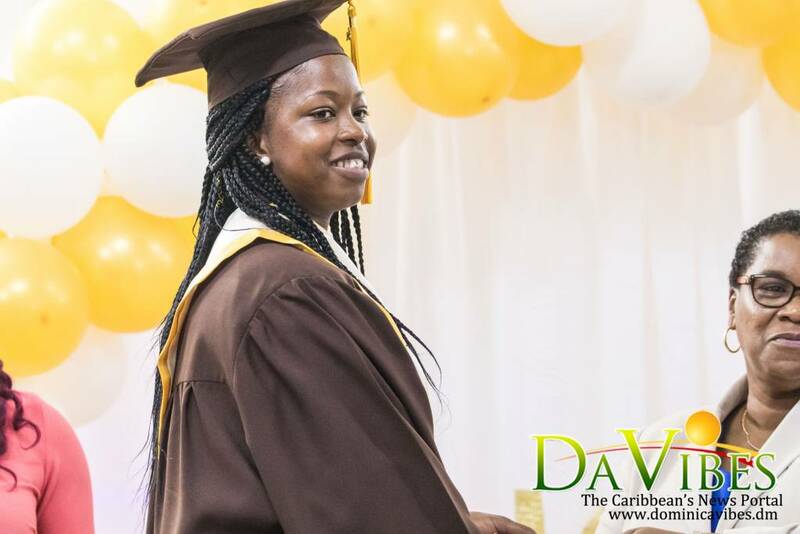 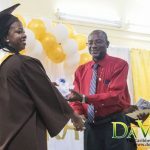 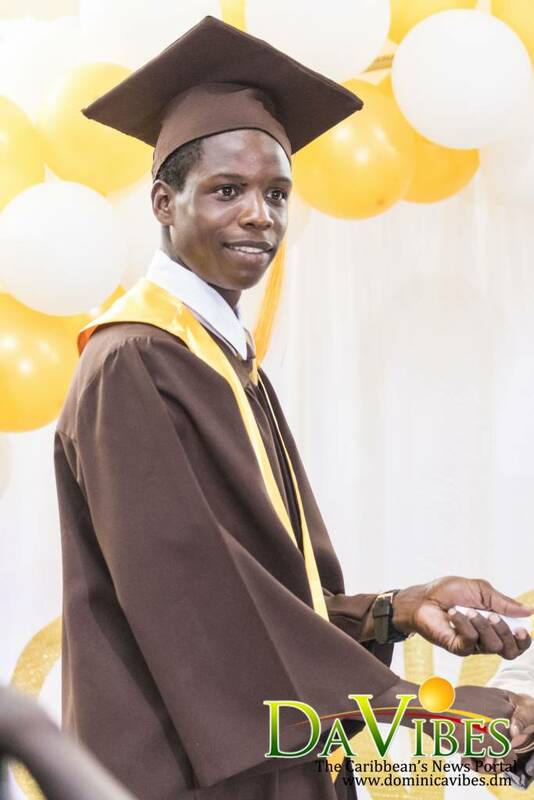 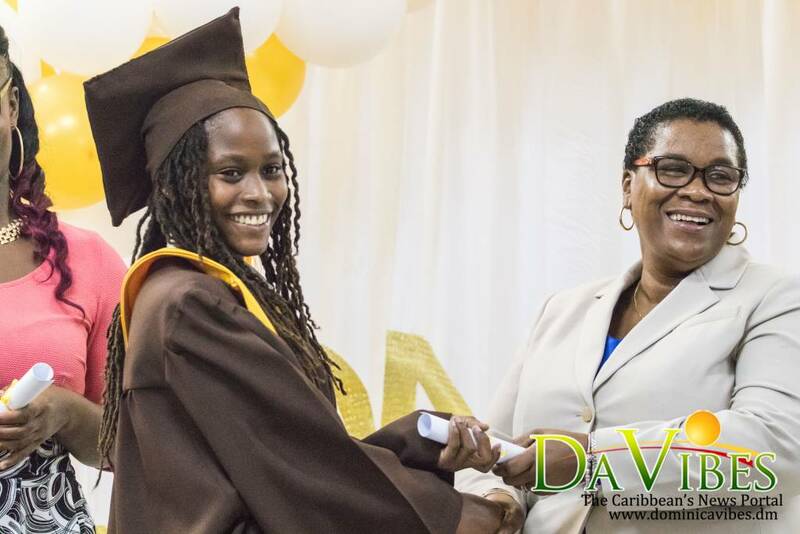 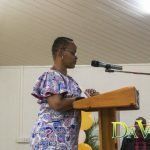 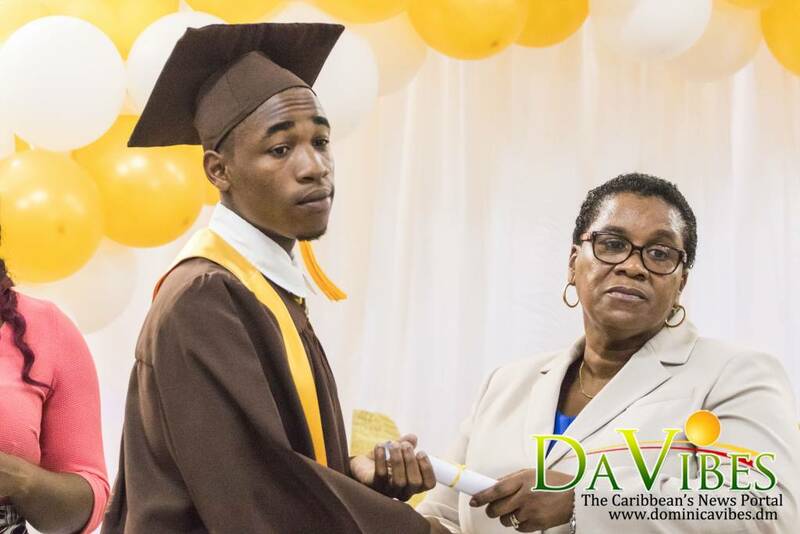 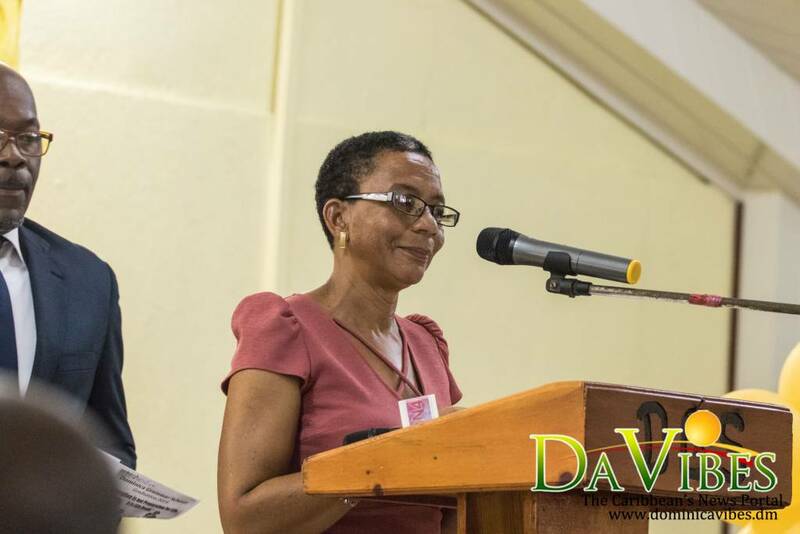 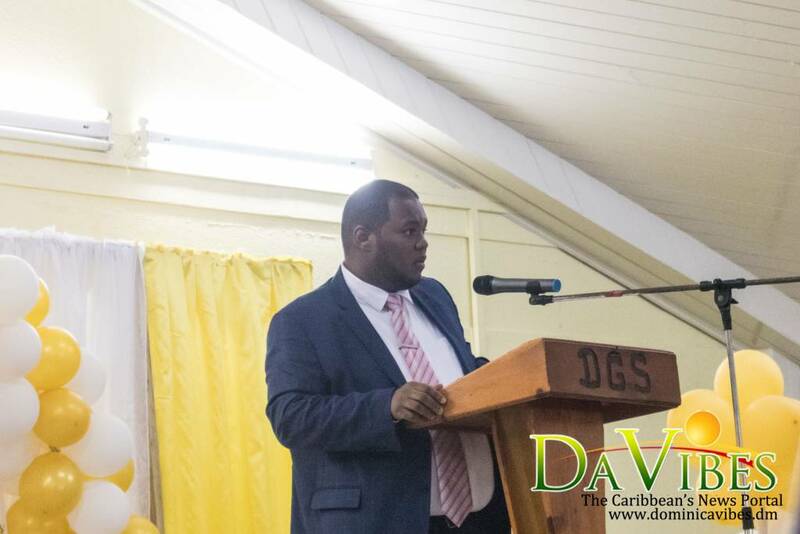 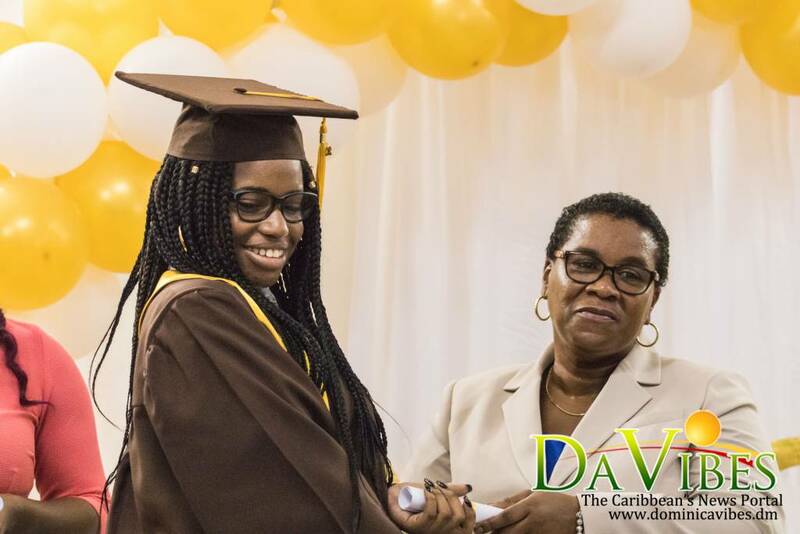 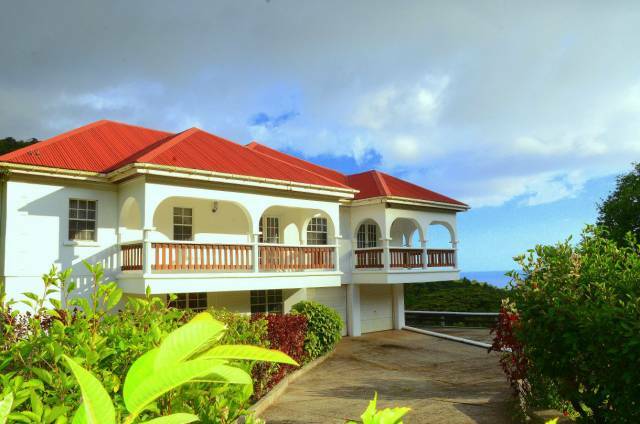 “As we leave the Dominica Grammar School and go out into the world, each one of us taking a different path, following different dreams, may we stay positive, work hard, keep our heads held high, as we receive all the blessings and success that wait us,” Bougouneau stated.